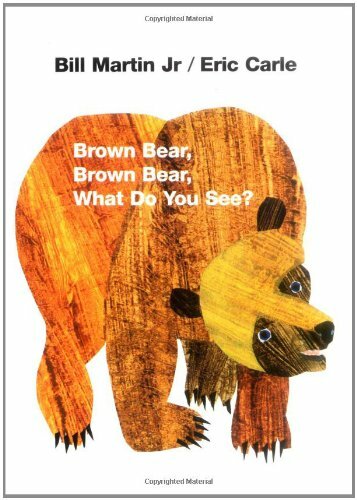 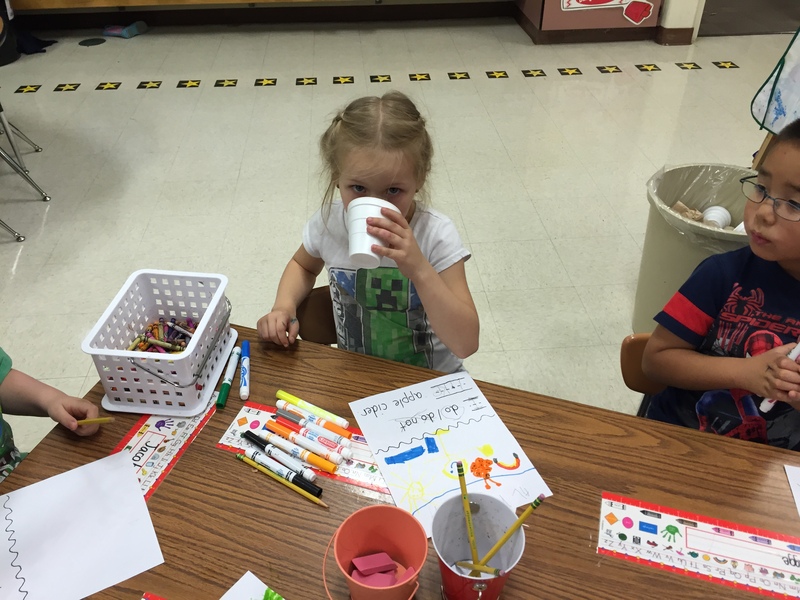 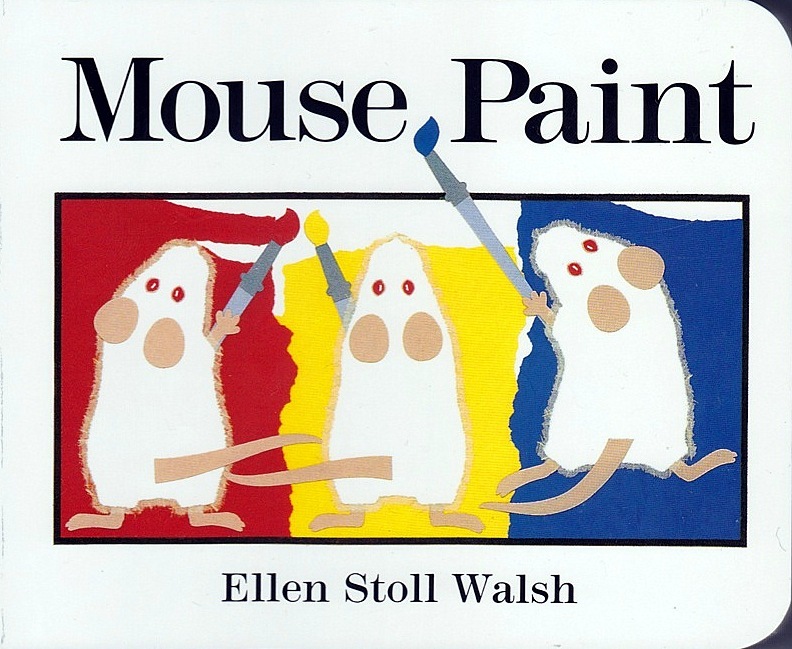 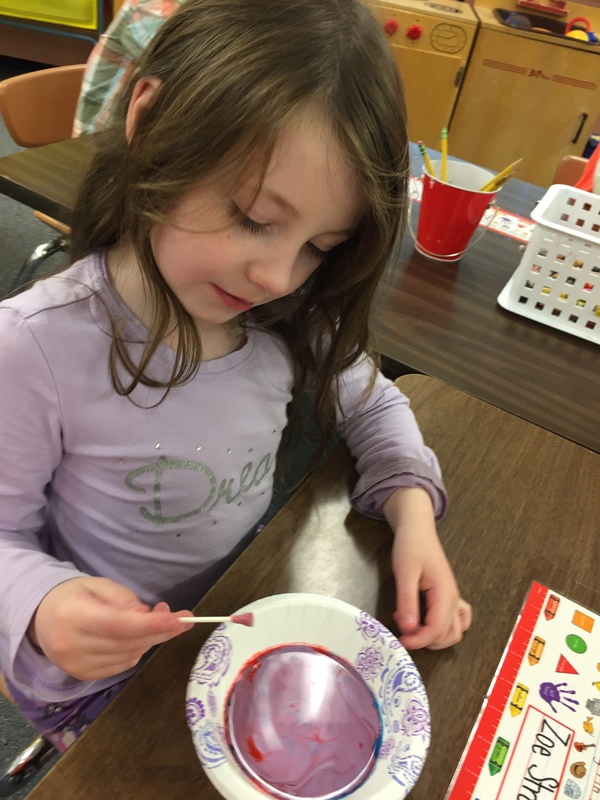 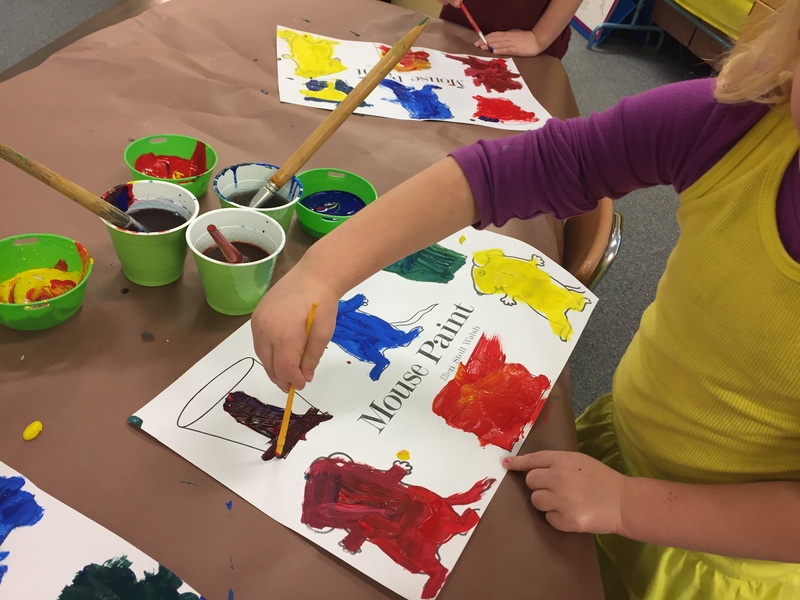 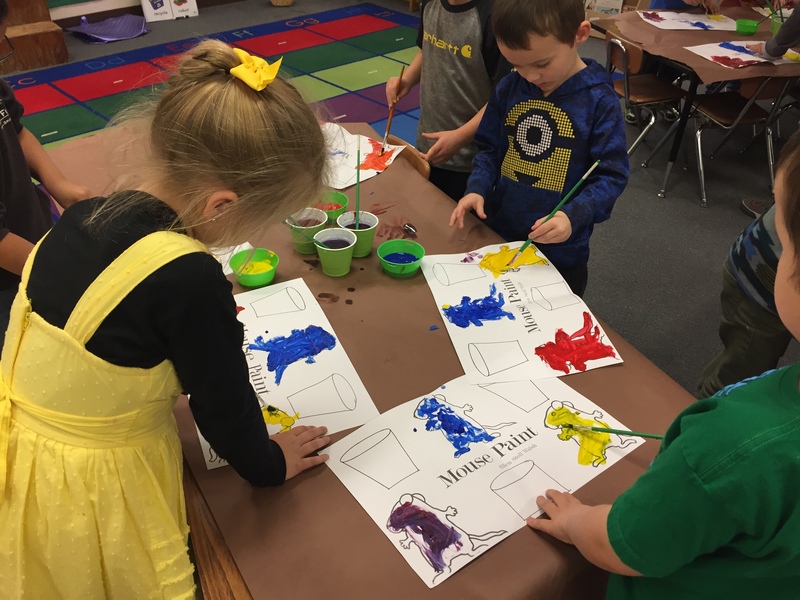 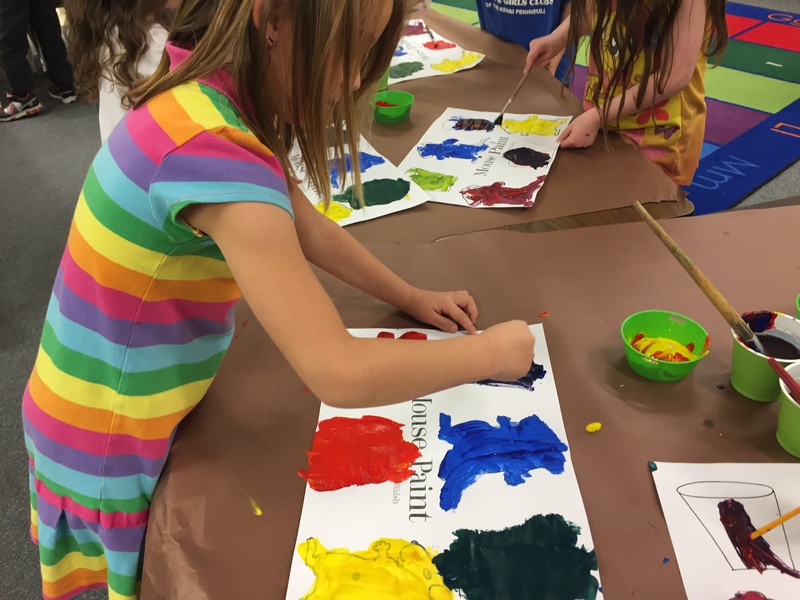 As we continued with color week, we read the book Mouse Paint. 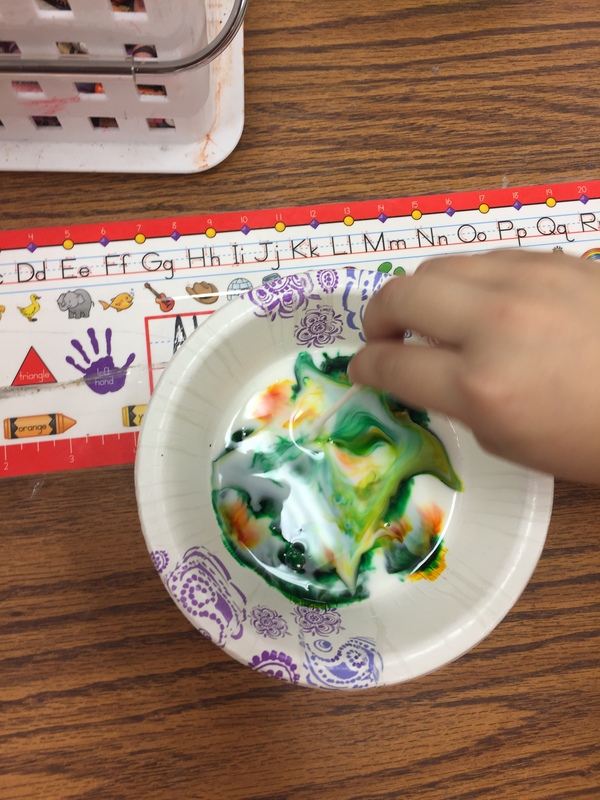 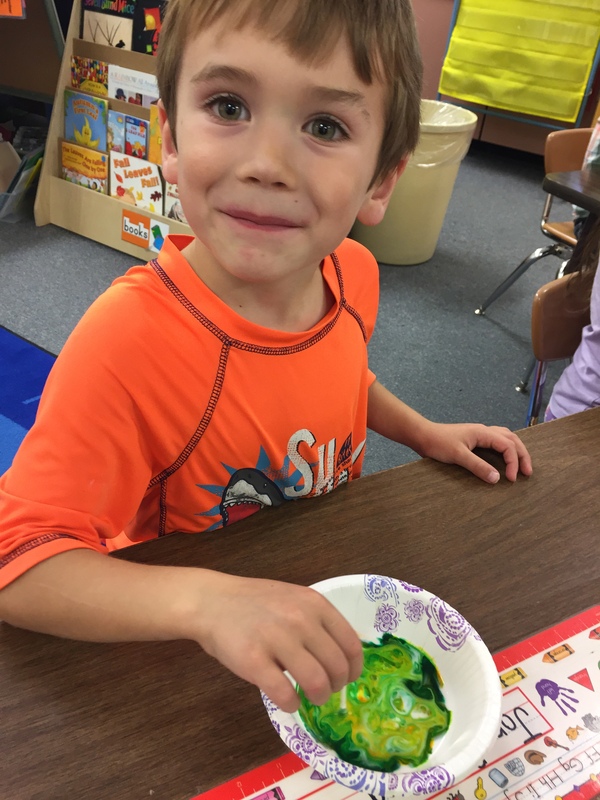 We remembered the science experiment from the previous day on how the colors changed when we mixed the colors. 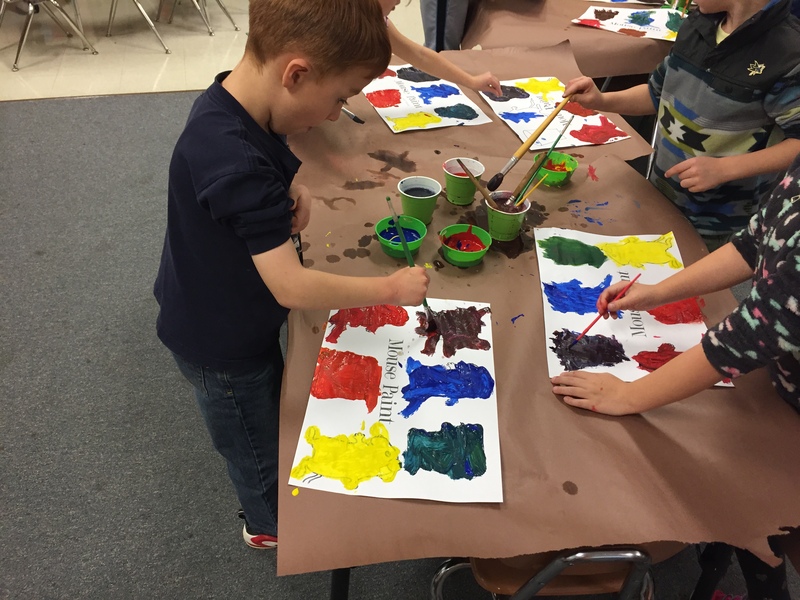 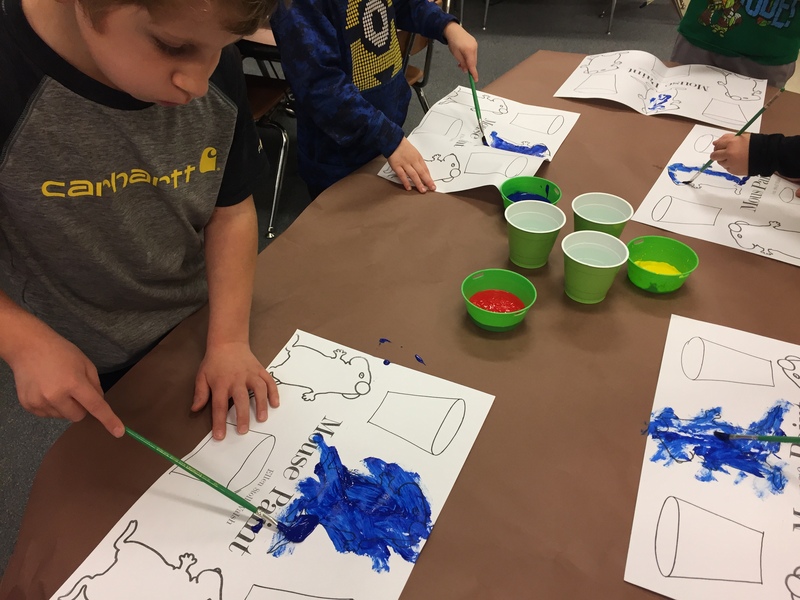 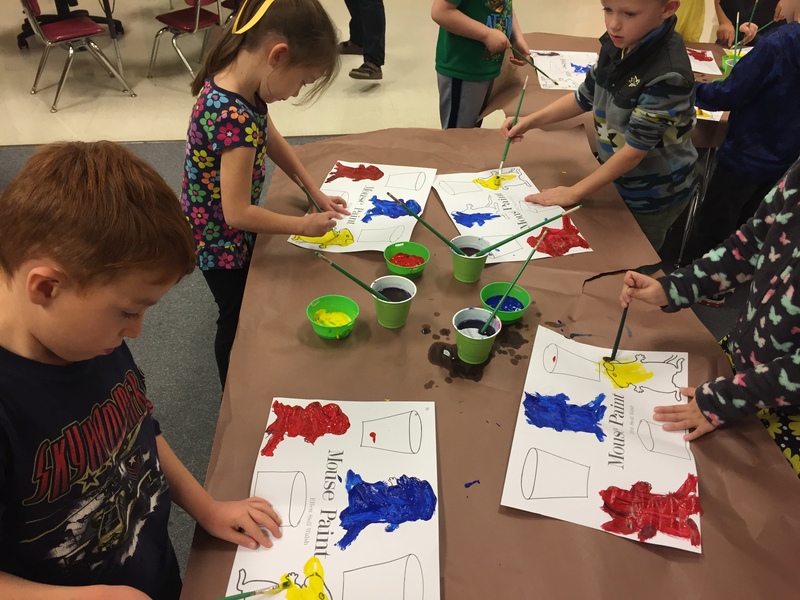 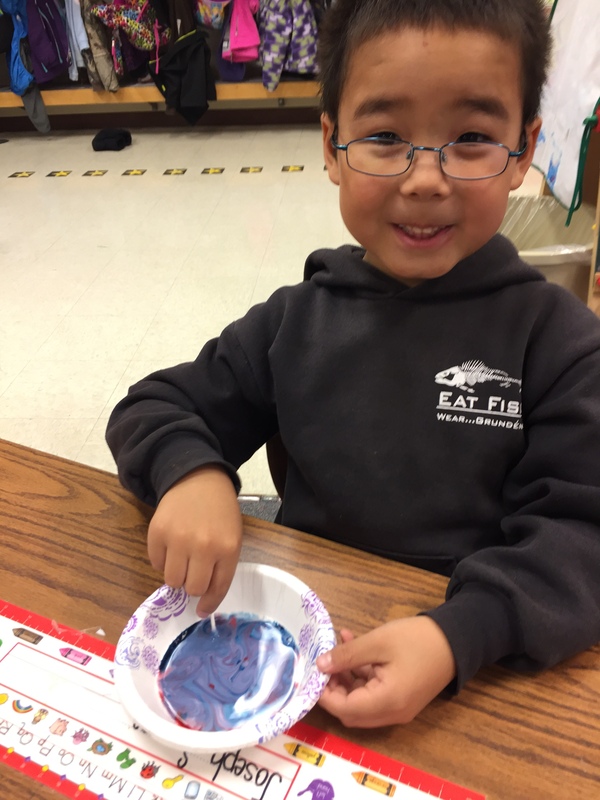 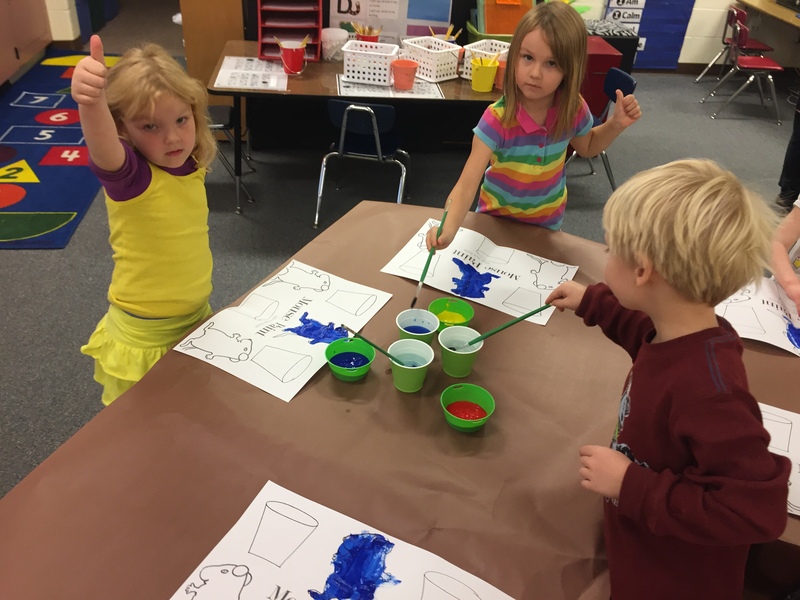 We used the primary colors to make new colors using tempera paint, just like the mice did in the story. 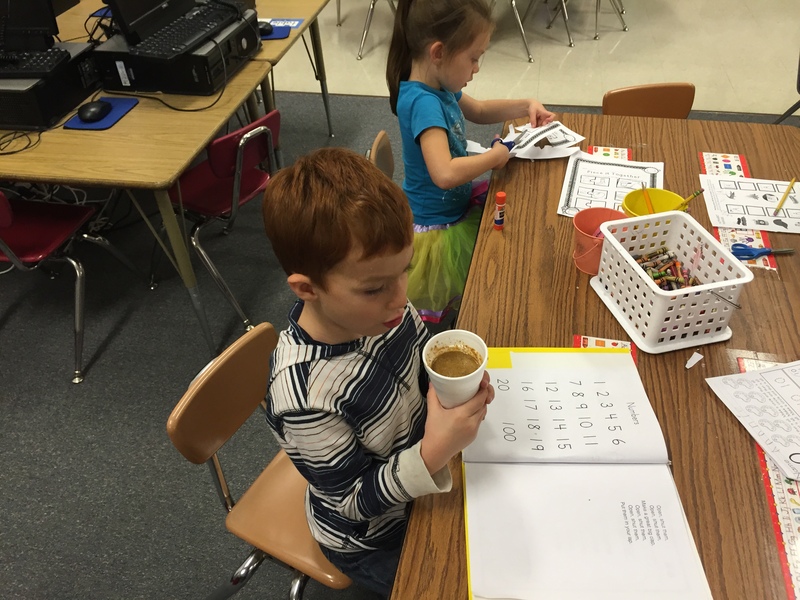 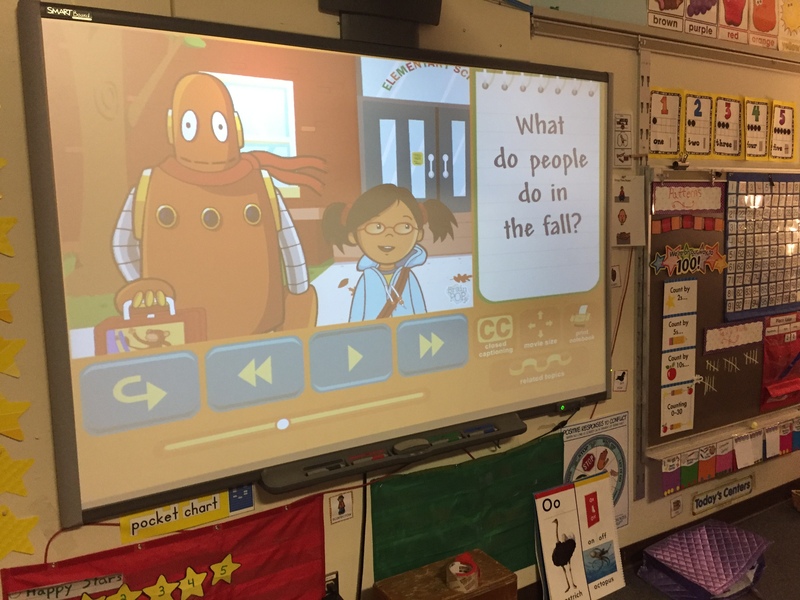 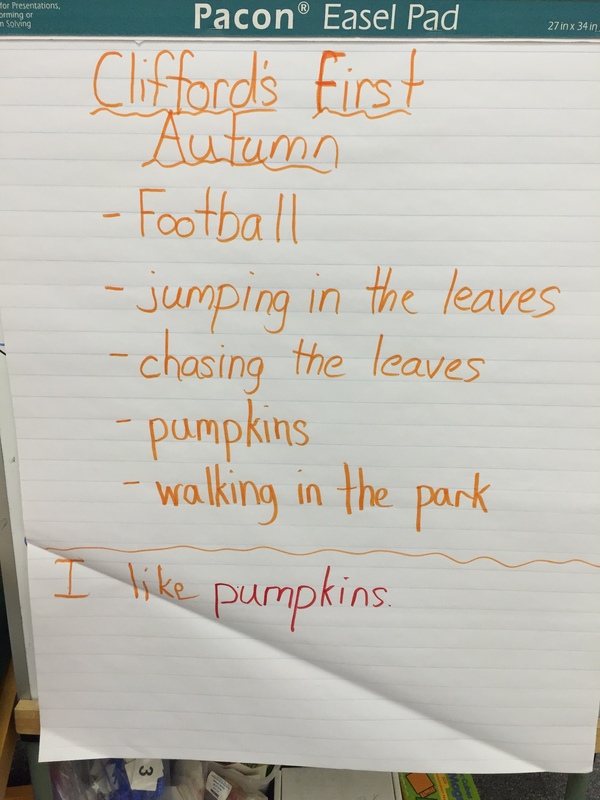 On Monday we started our unit on fall. 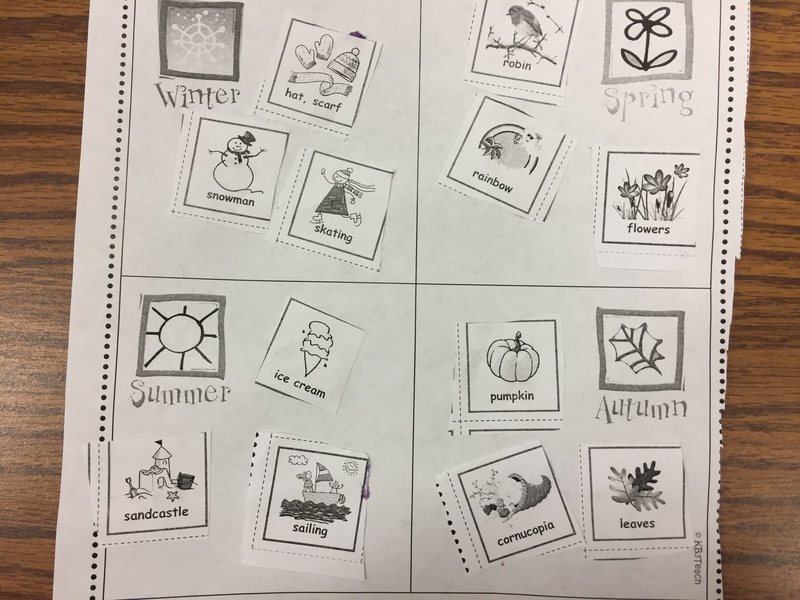 During our calendar time we sang the song Four Seasons in a Year by Harry Kindergarten and came up with movements to go along with the song. 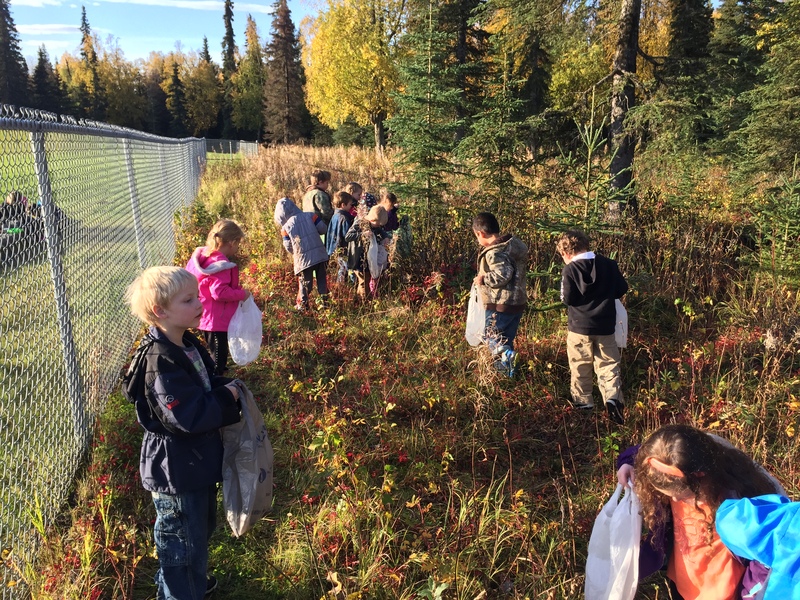 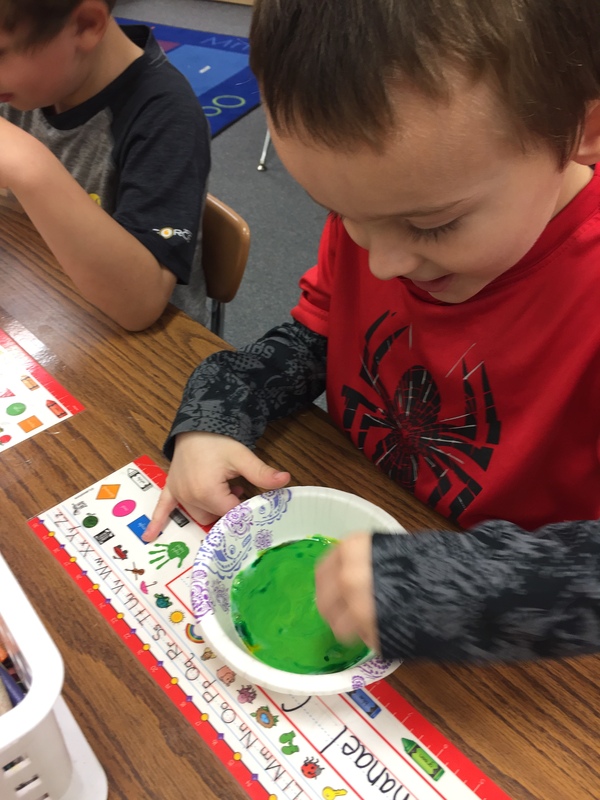 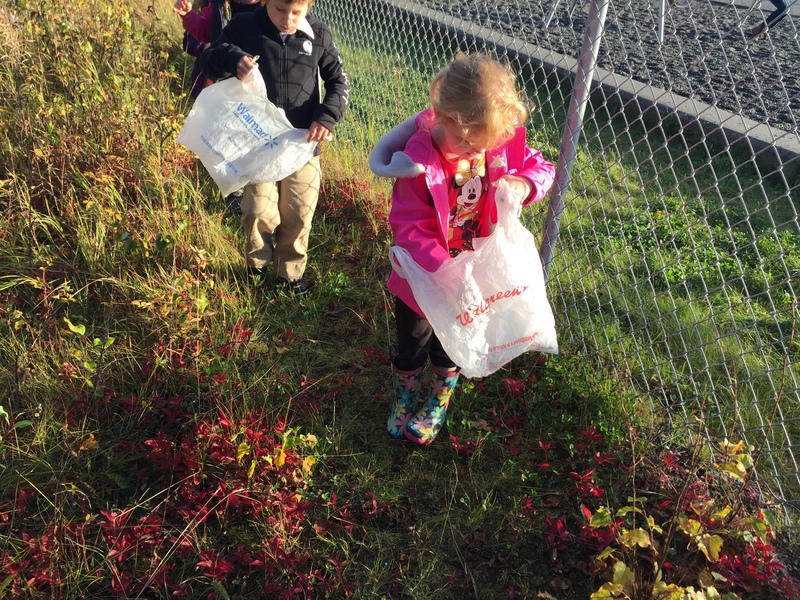 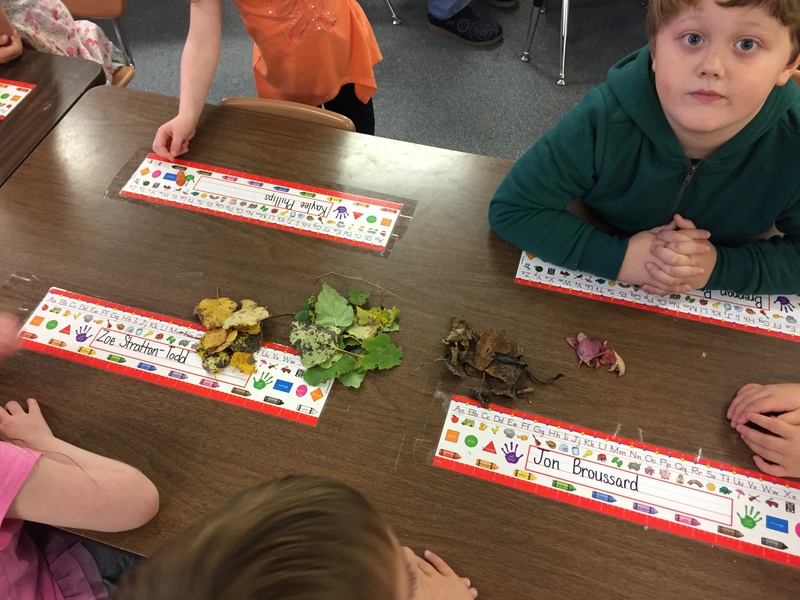 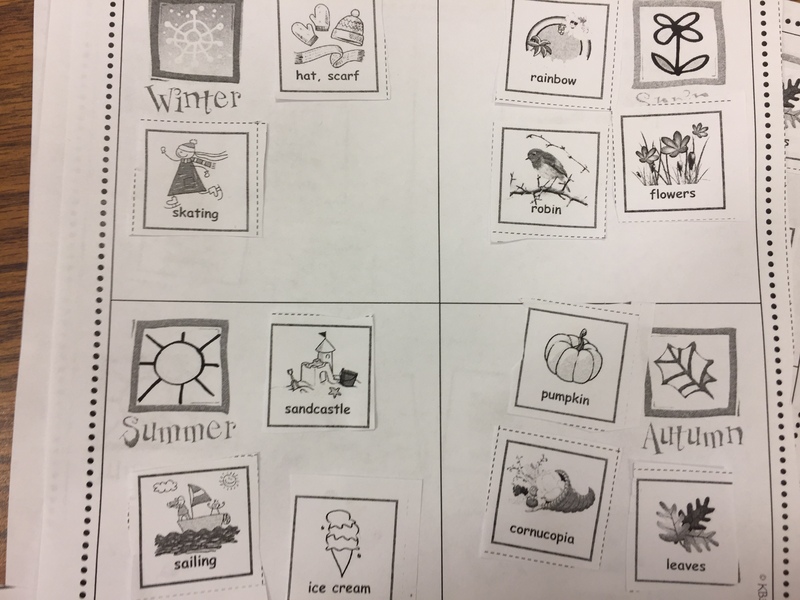 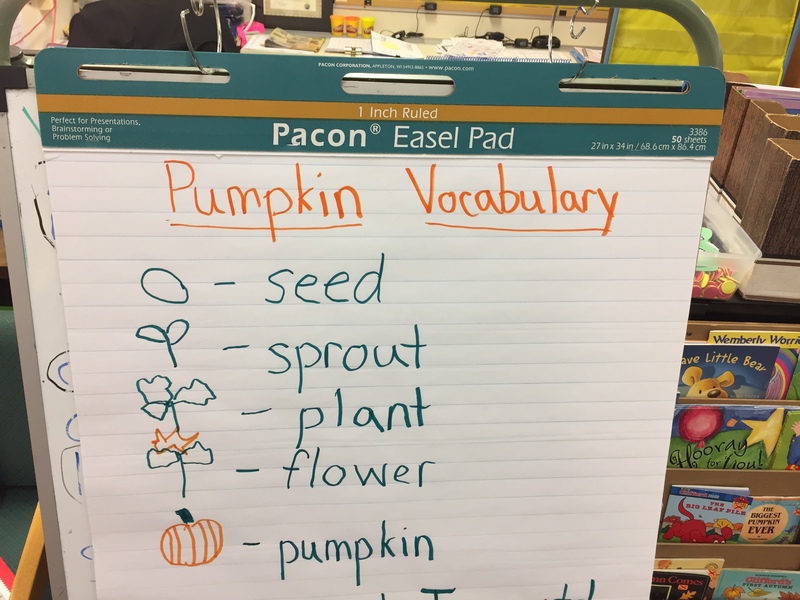 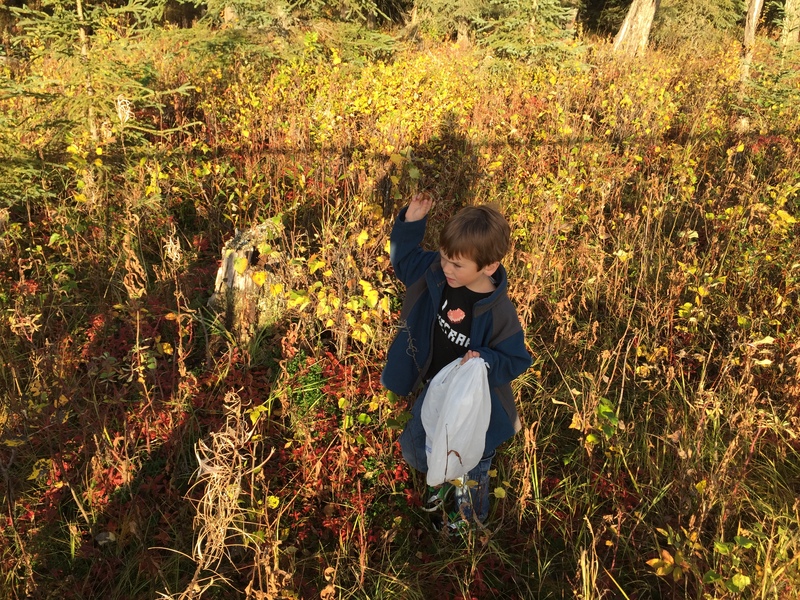 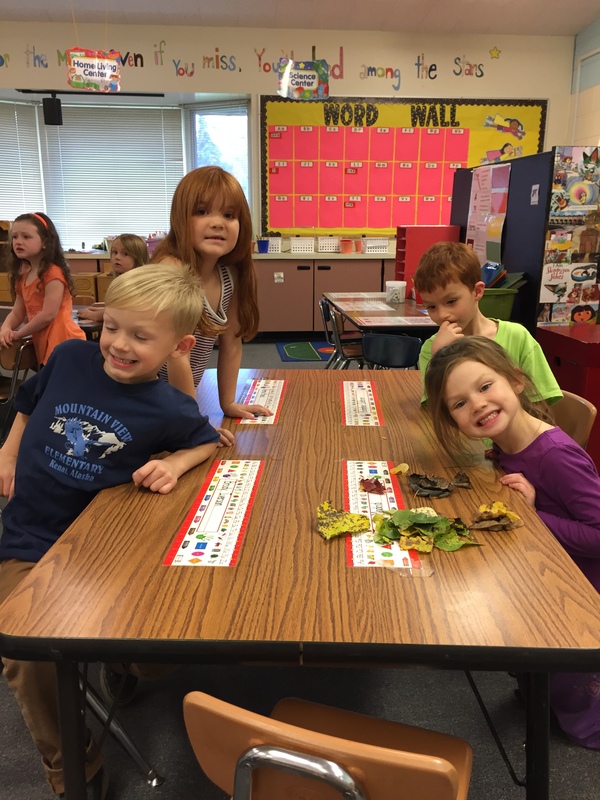 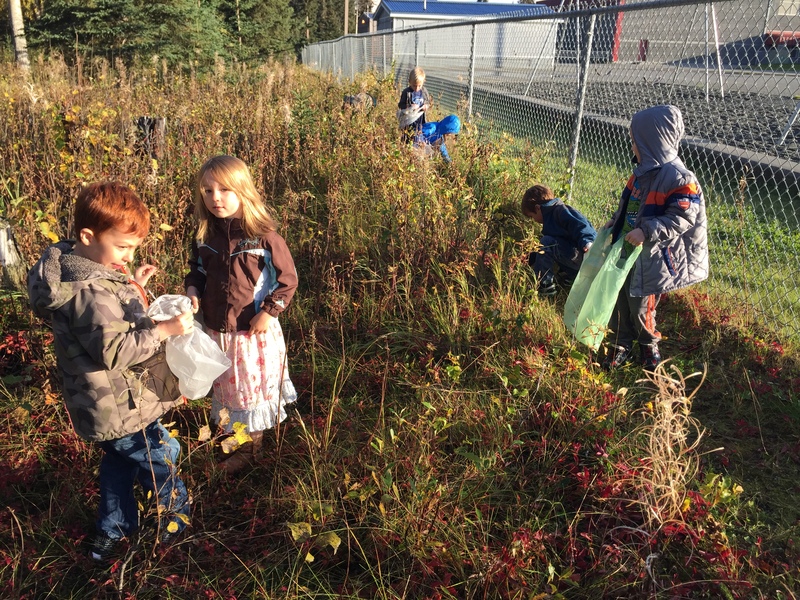 Students had fun trying to guess which season Harry Kindergarten was describing. 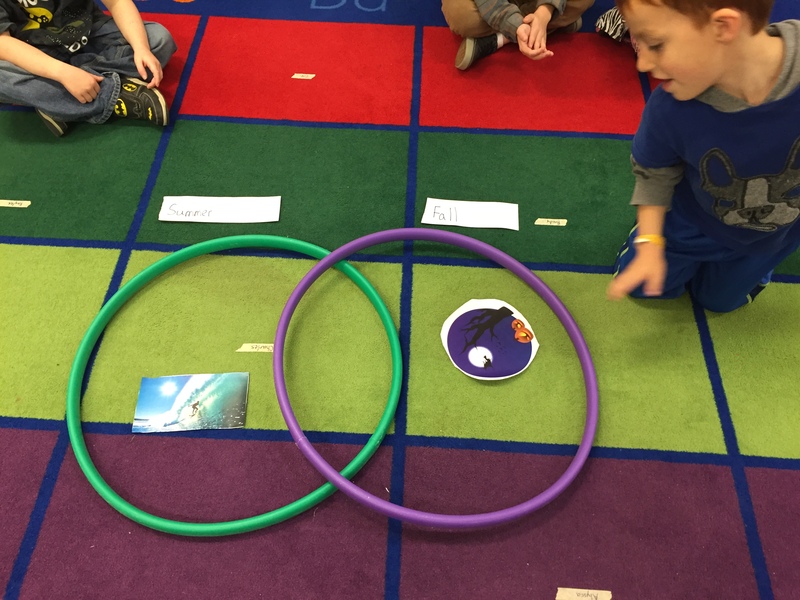 We then created a read life venn diagram to compare and contrast summer and fall. 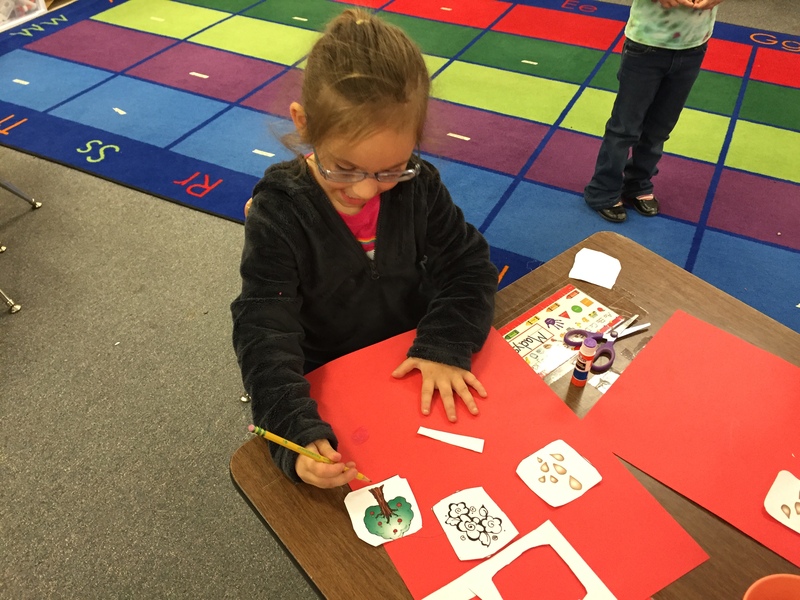 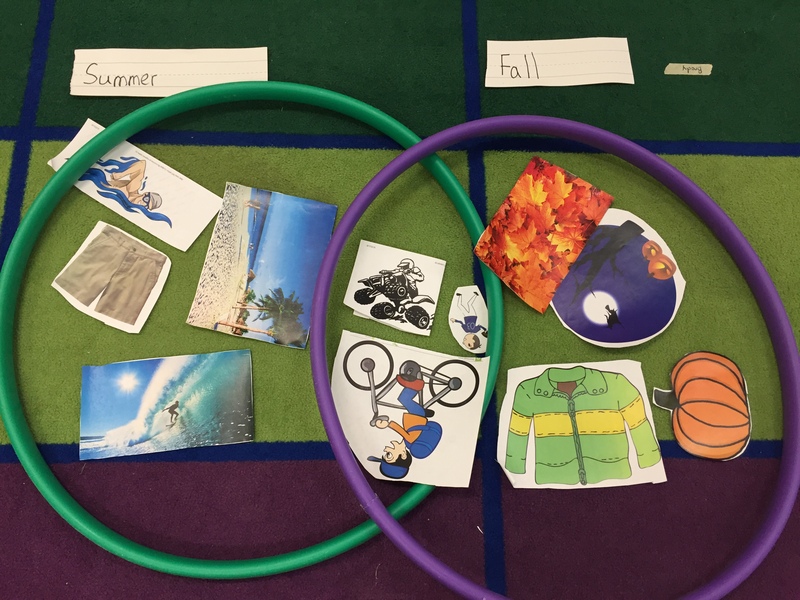 Students did a cut and paste activity sorting pictures into seasons that they best fit in. 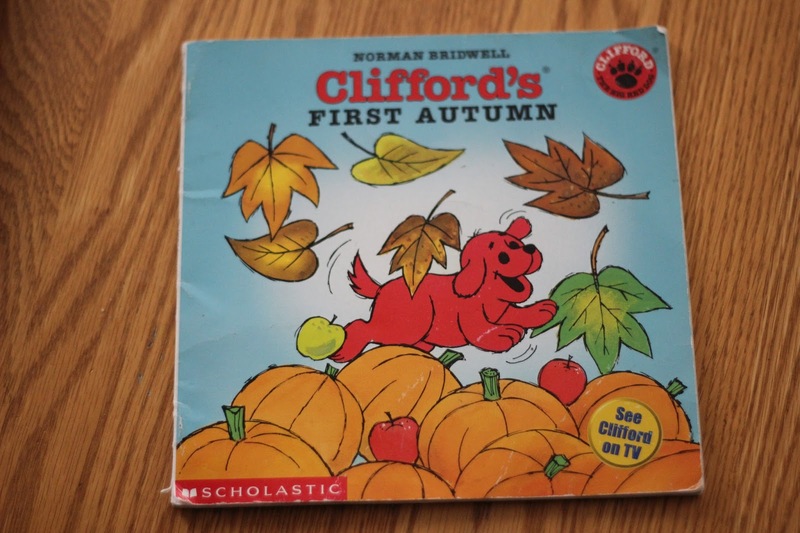 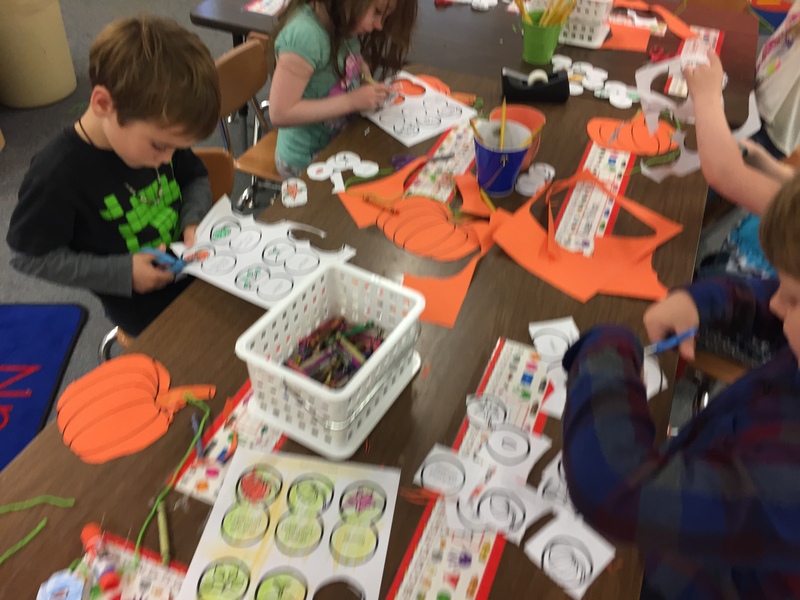 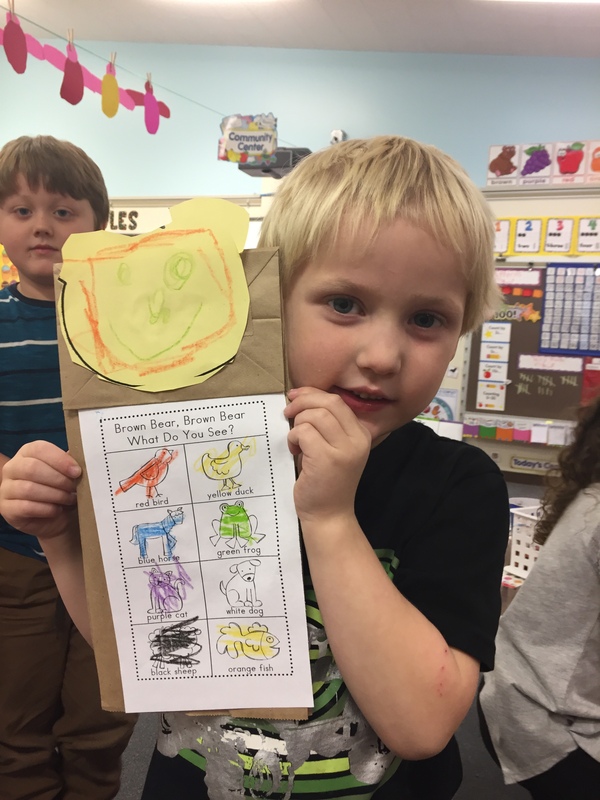 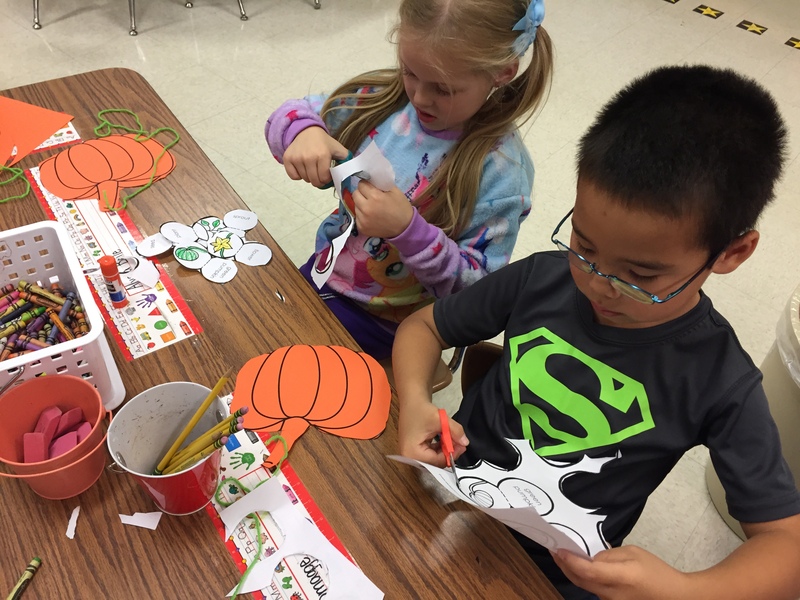 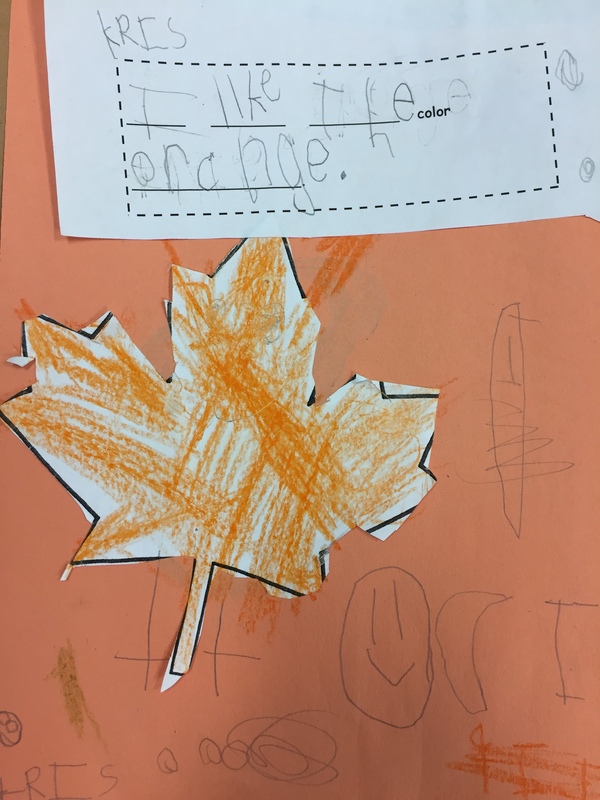 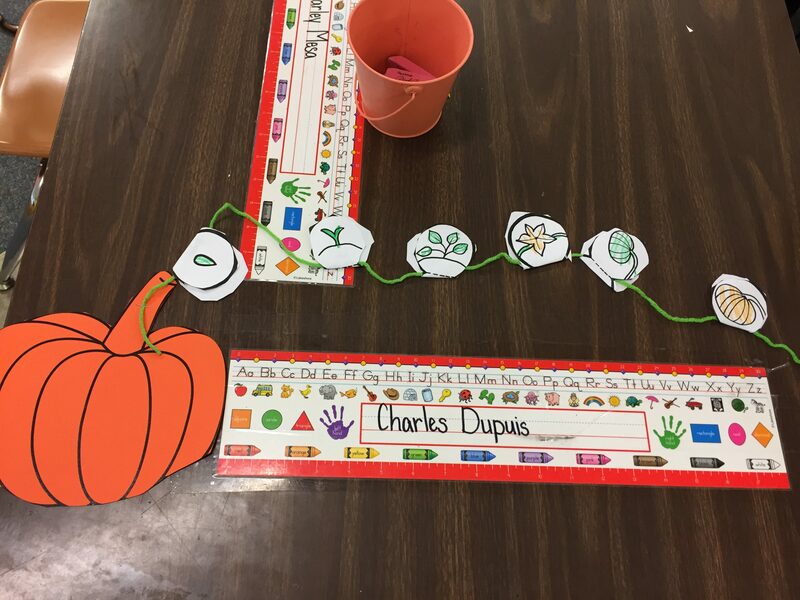 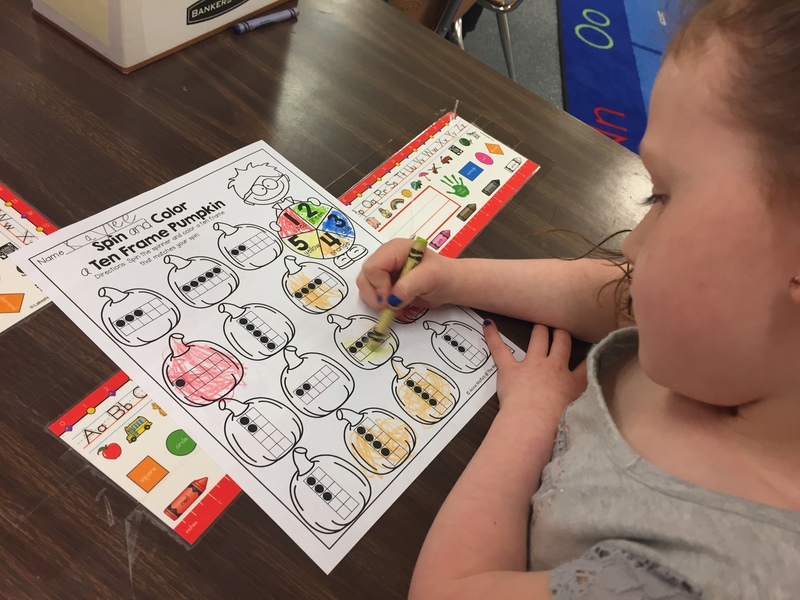 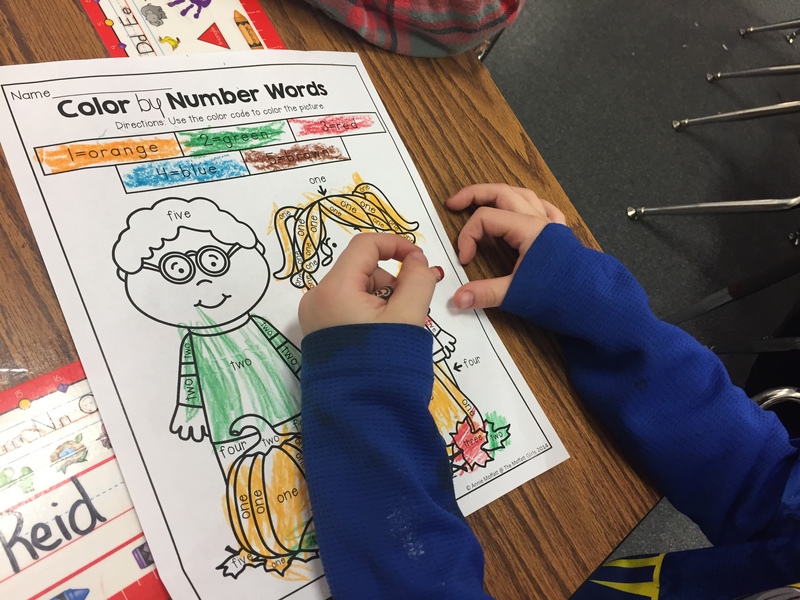 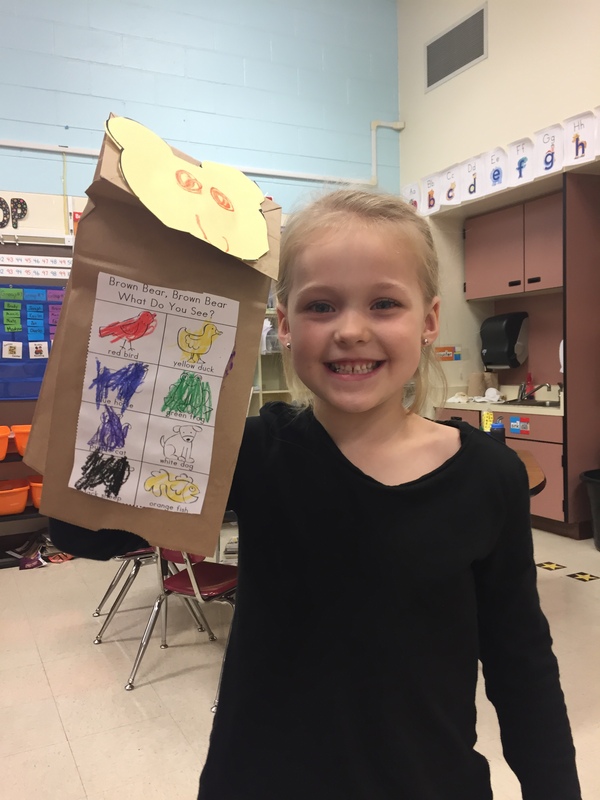 We read the story Clifford’s First Autumn by Norman Bridwell and made a list of fall activities that Clifford and Emily Elizabeth participated in. 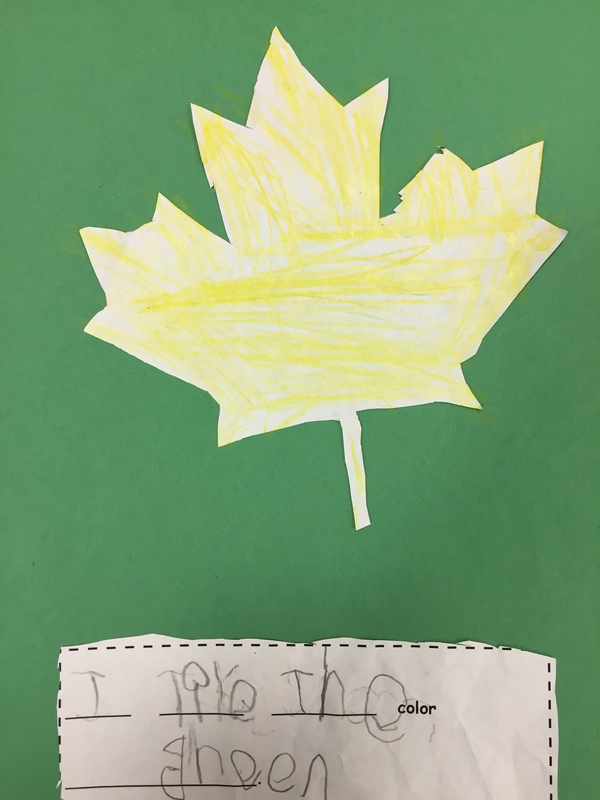 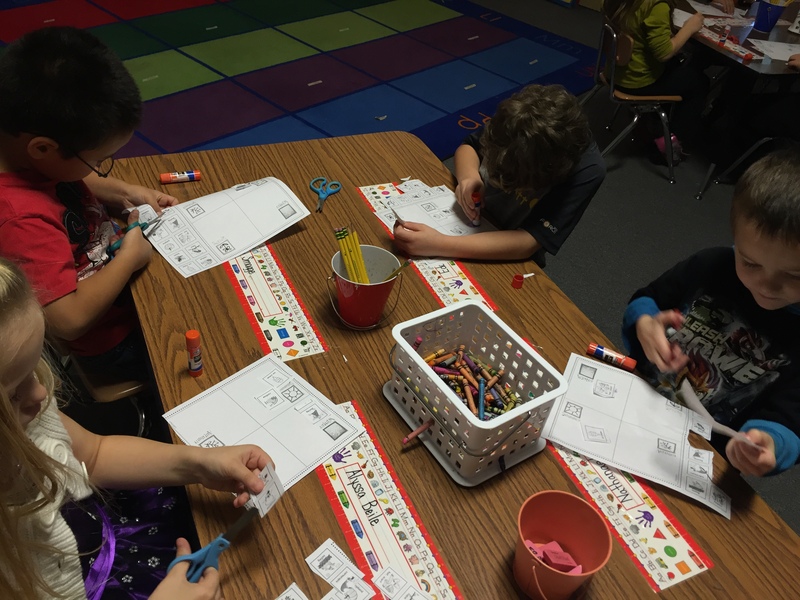 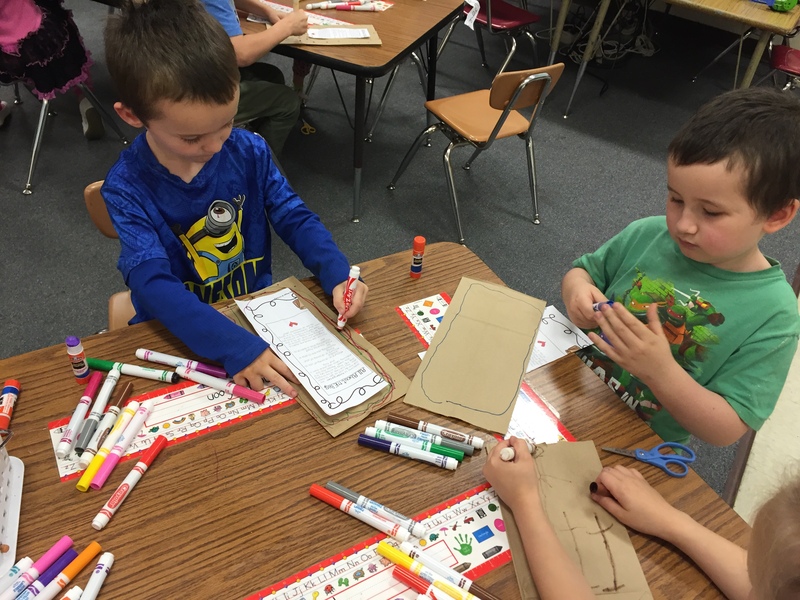 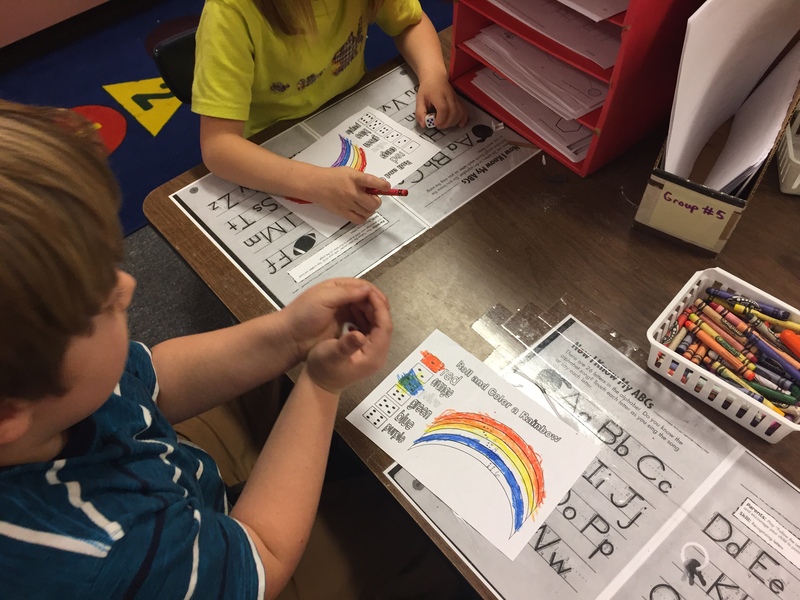 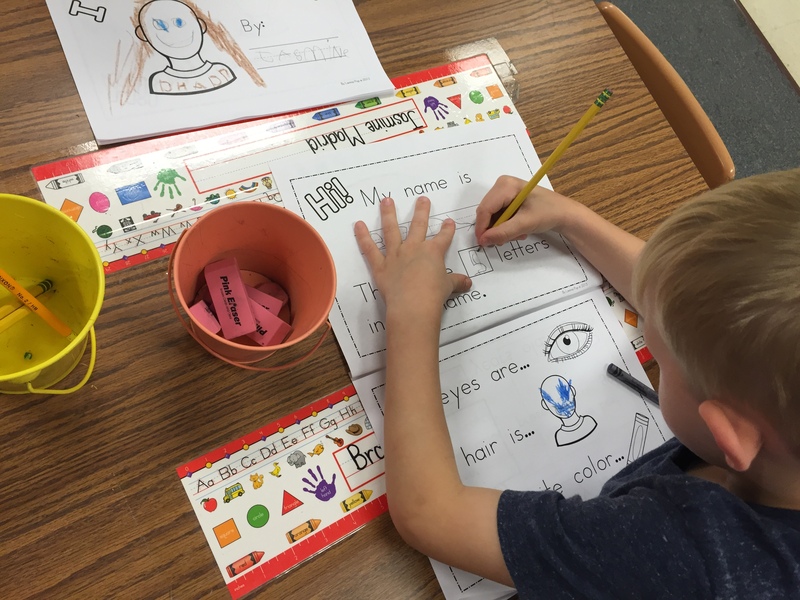 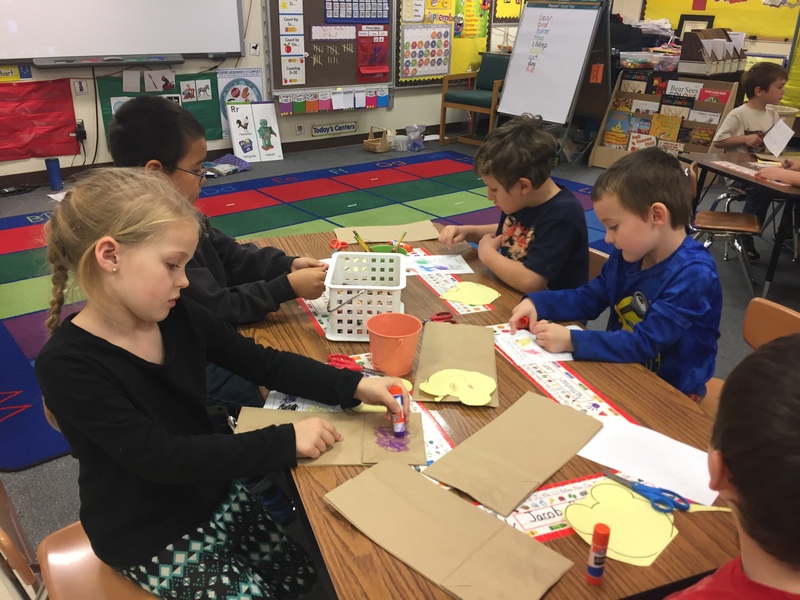 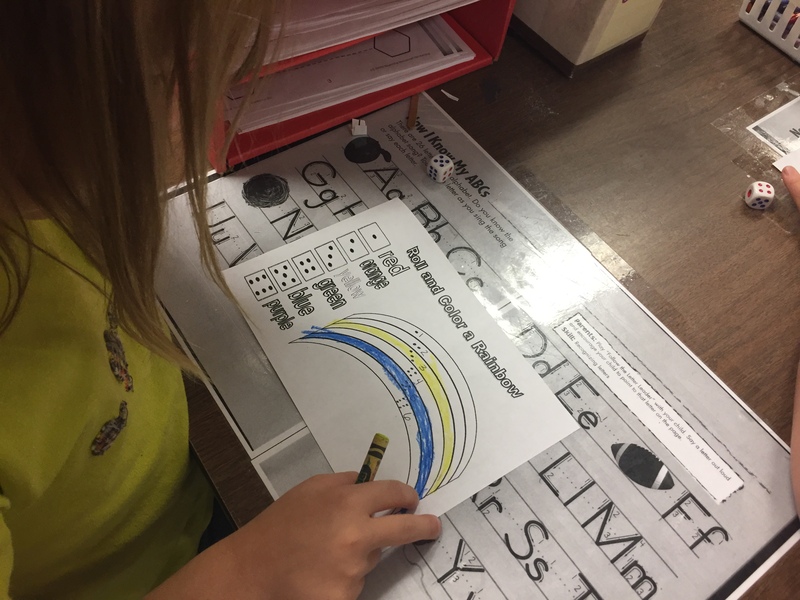 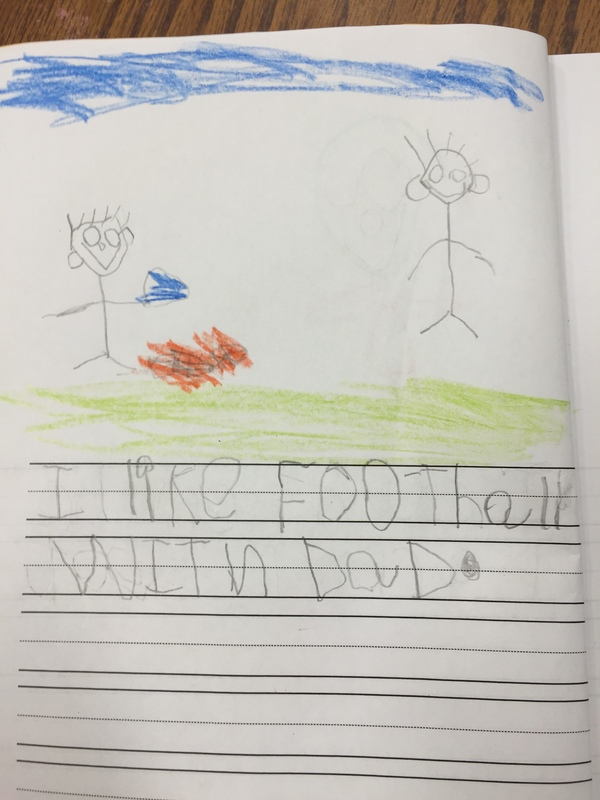 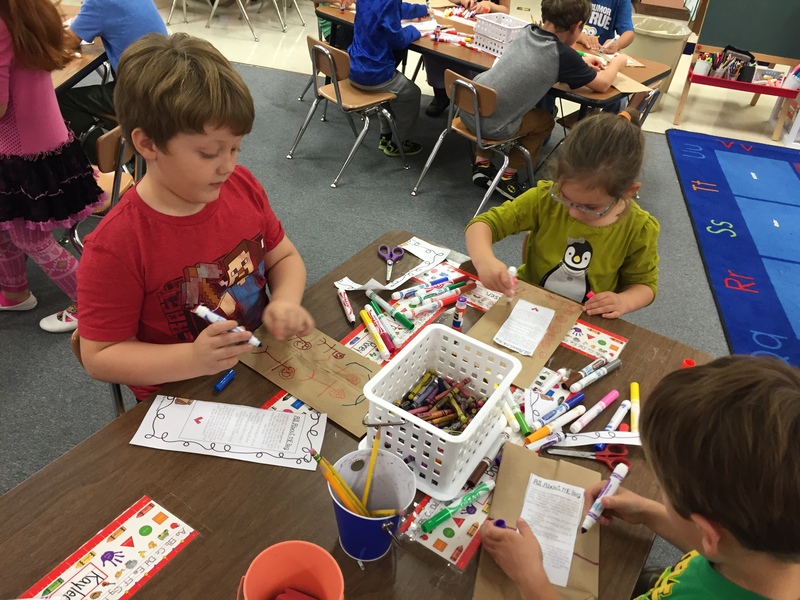 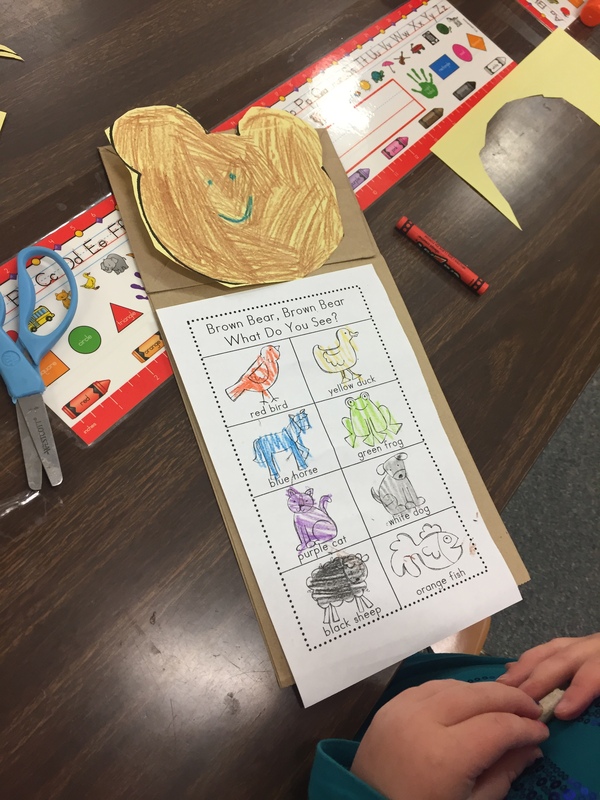 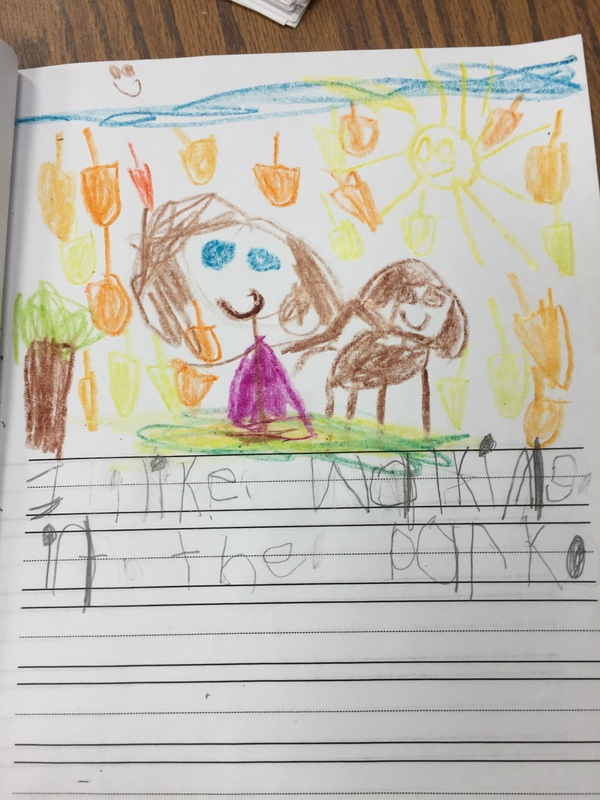 Then students made a text to self connection by writing about what activity from the story that they like to do. 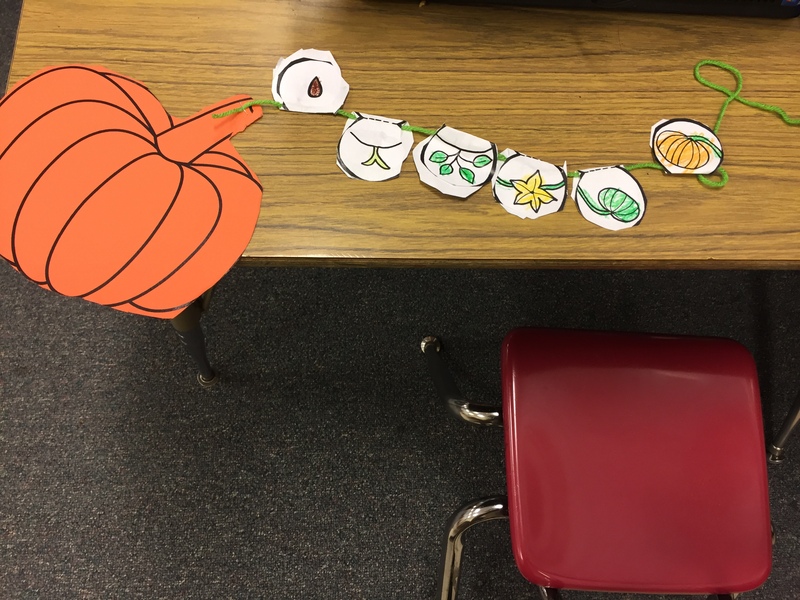 Today we went through a Brain Pop Jr. lesson on fall and did a autumn leaves finger stamping art project. 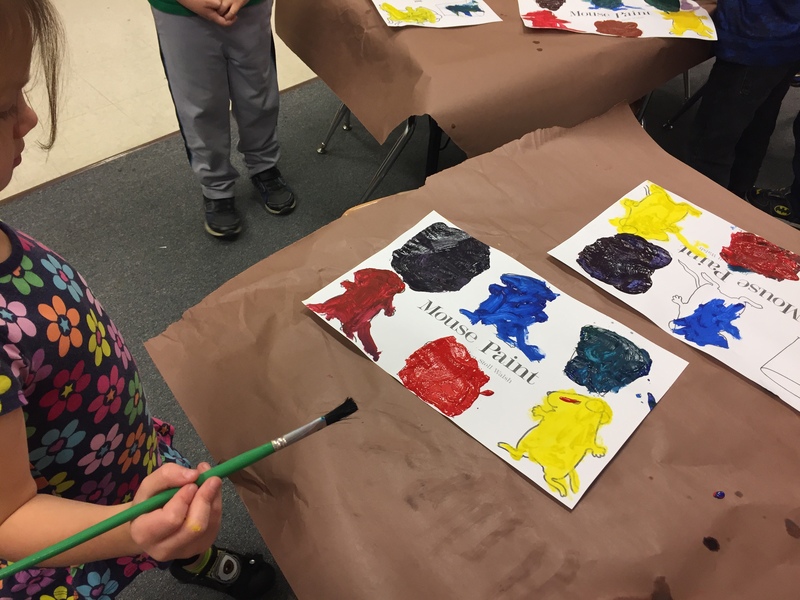 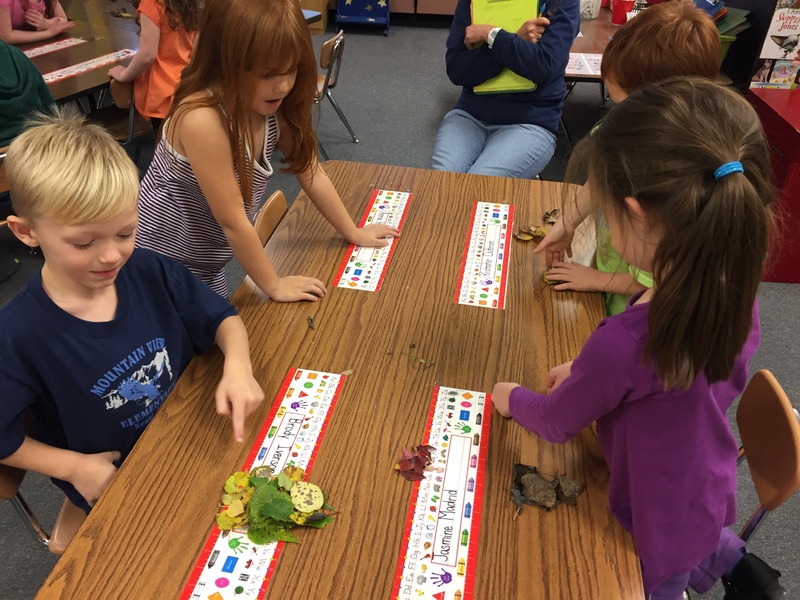 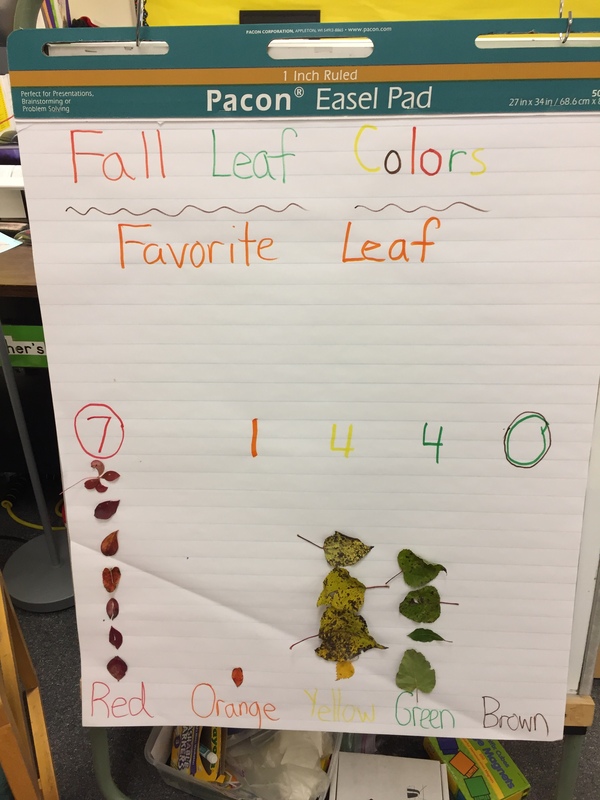 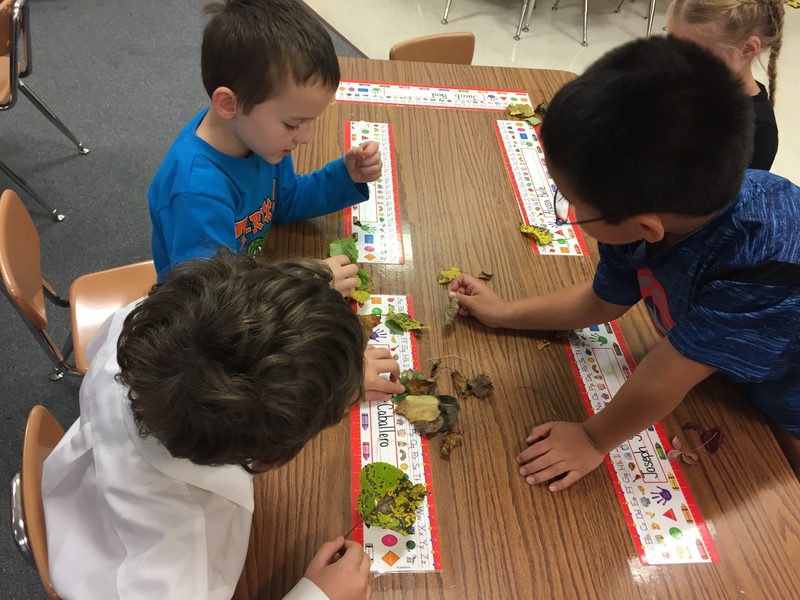 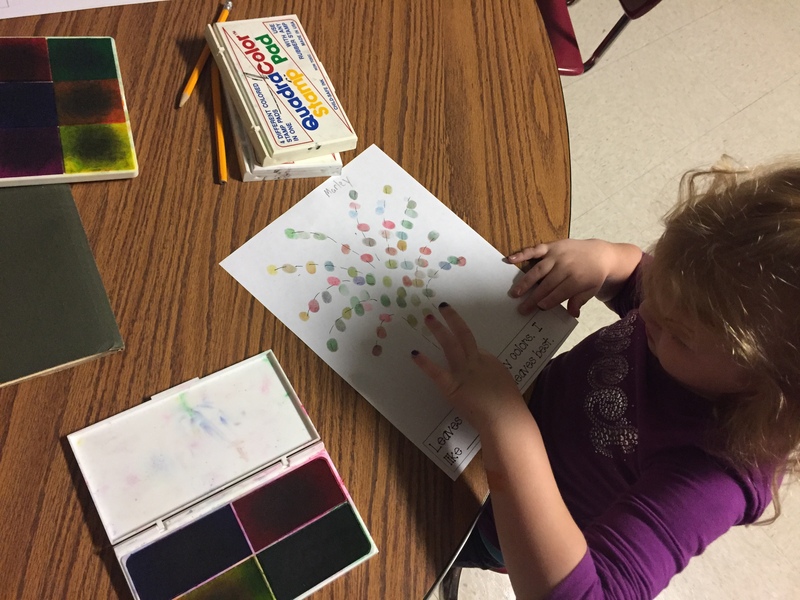 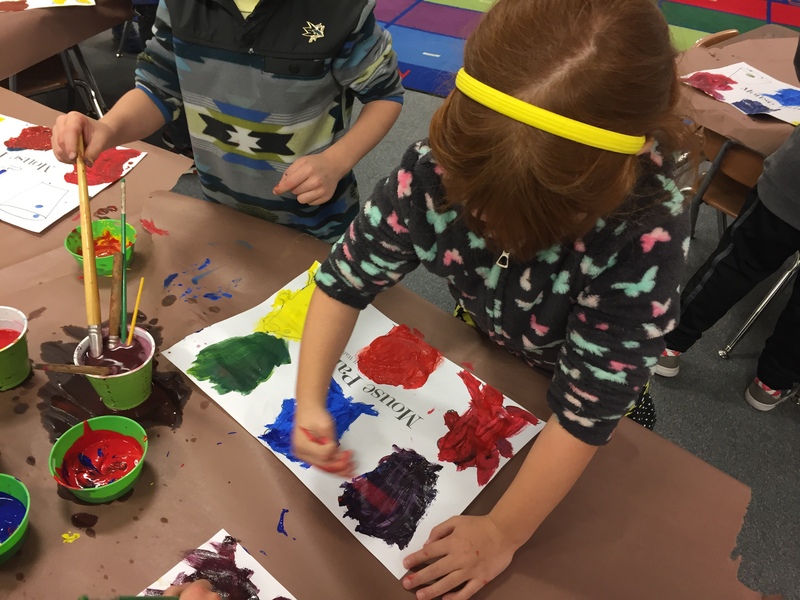 Students pressed their fingers into ink pads and made autumn leaf trees and picked which fall color they liked the best. 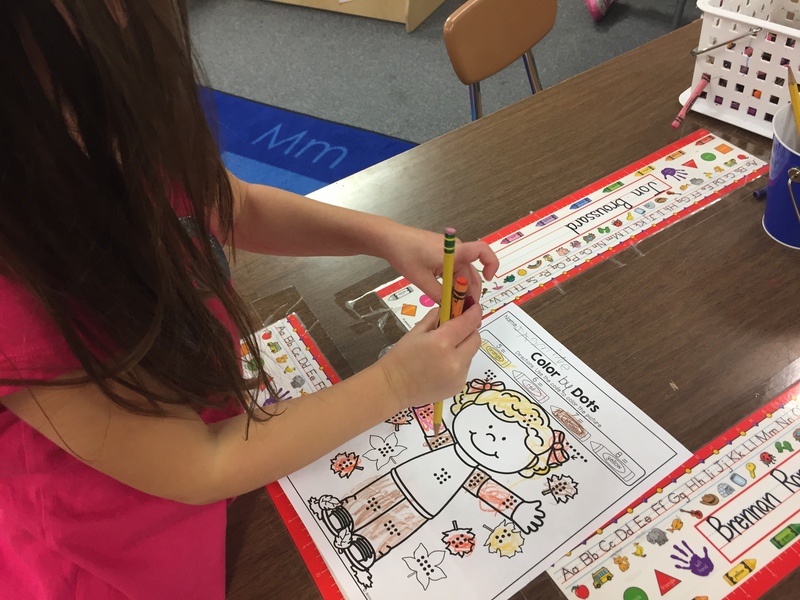 This week we started our All About Me unit about where our All-Stars can learn how to be proud about their individuality and get to know their classmates. 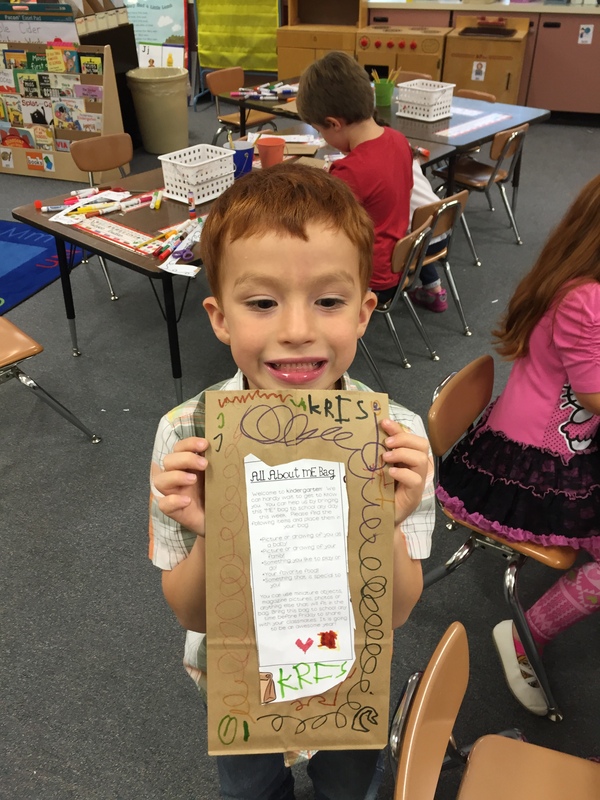 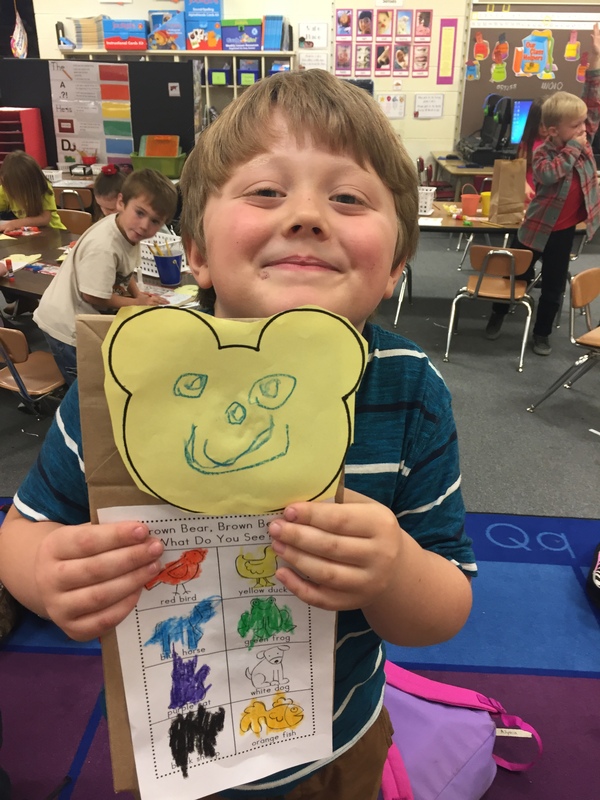 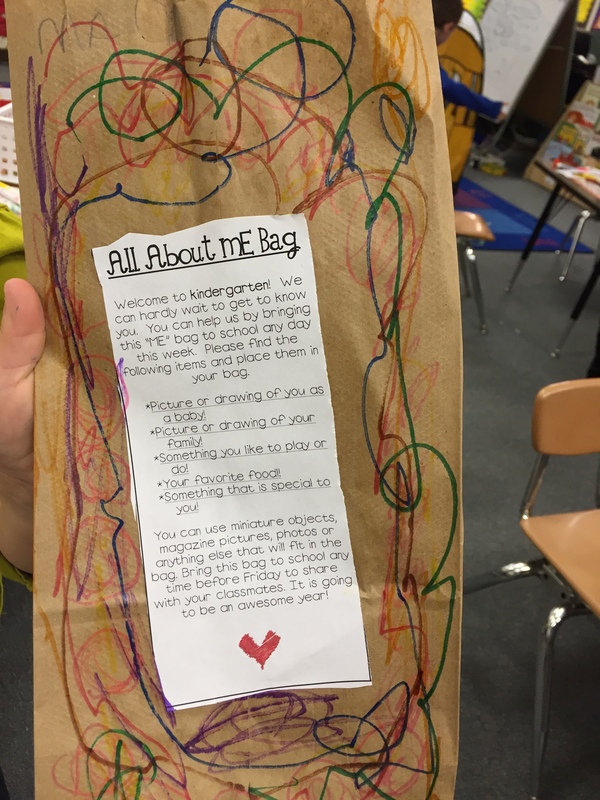 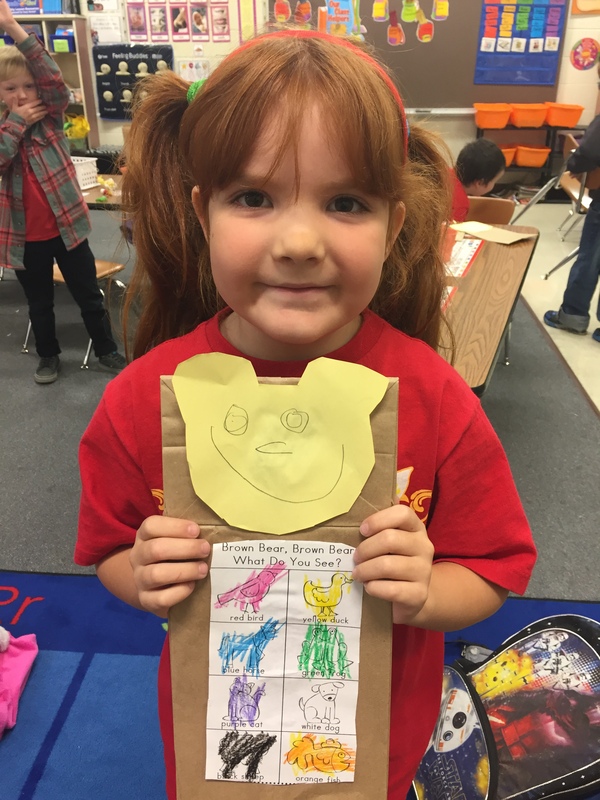 Yesterday we got our All About Me Bags where students can bring it items from home and share about themselves. 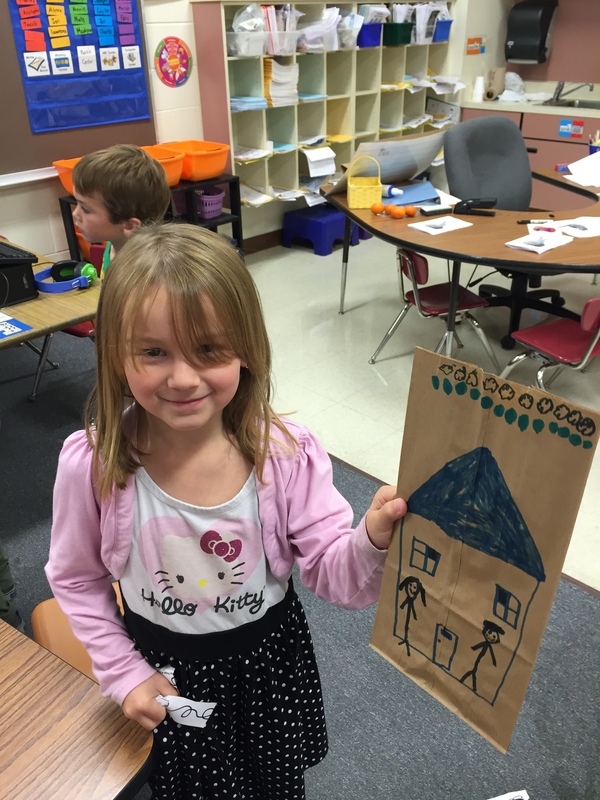 You can get the All About Me Bags here. 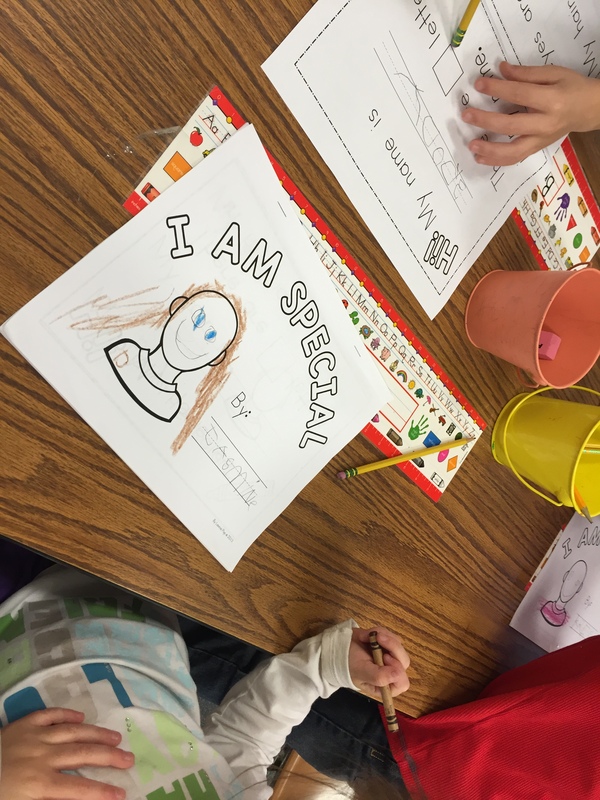 Today we read the story I’m Special, I’m Me by Ann Meek and then we started on our I’m Special student books that asks questions about students favorite color, how many letters in their names, what they want to be when they grow up. 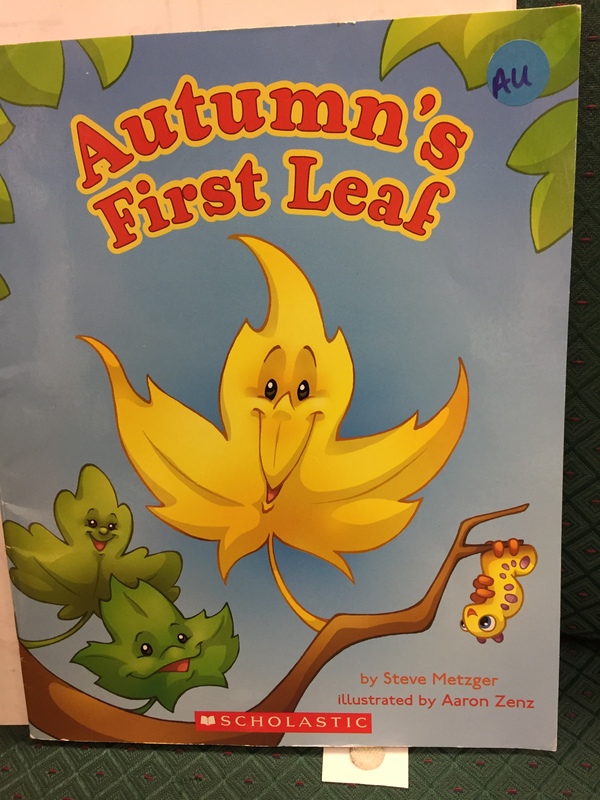 You can find I am Special books here. 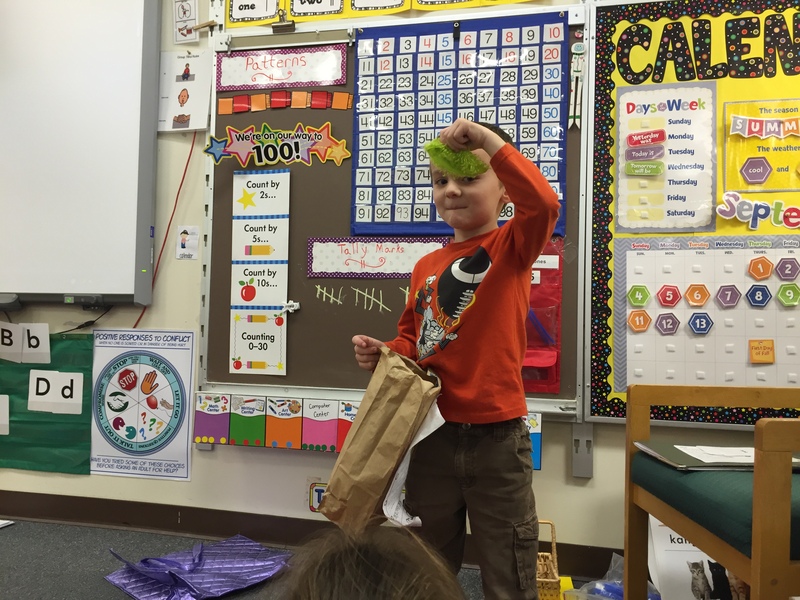 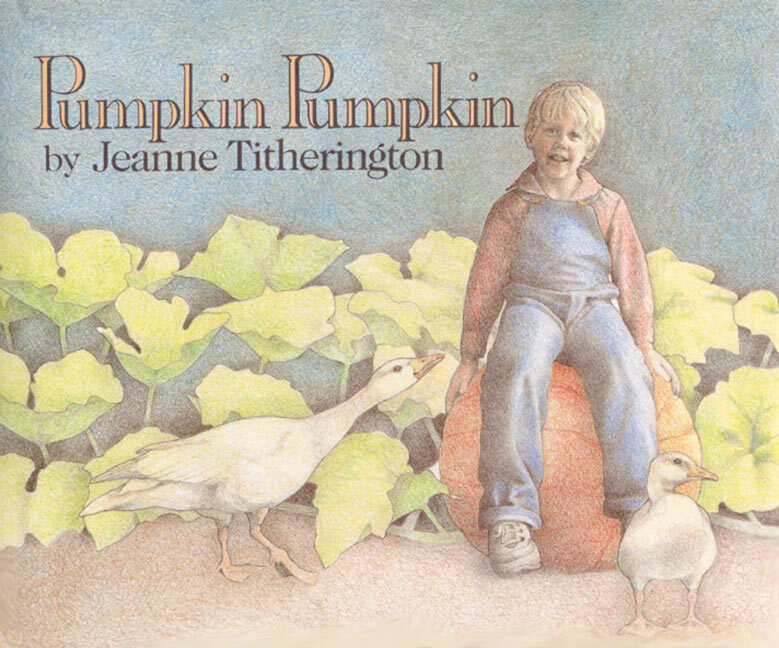 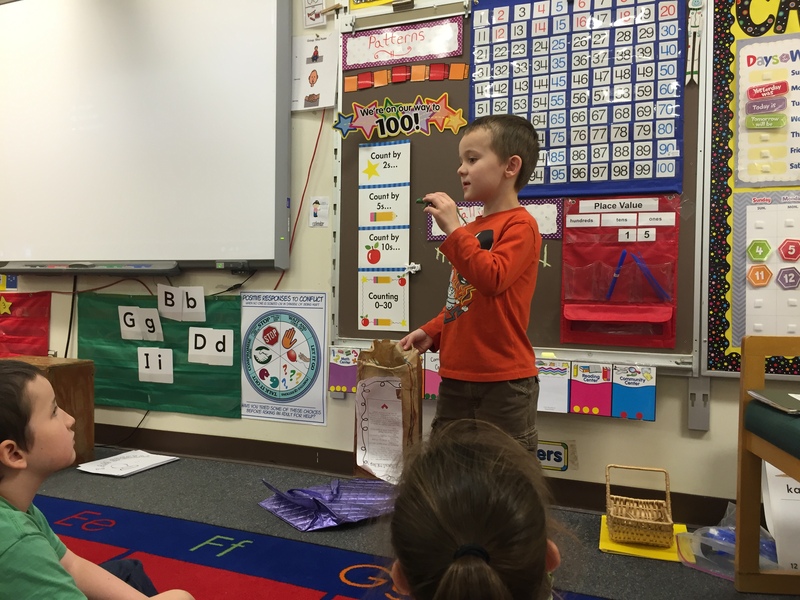 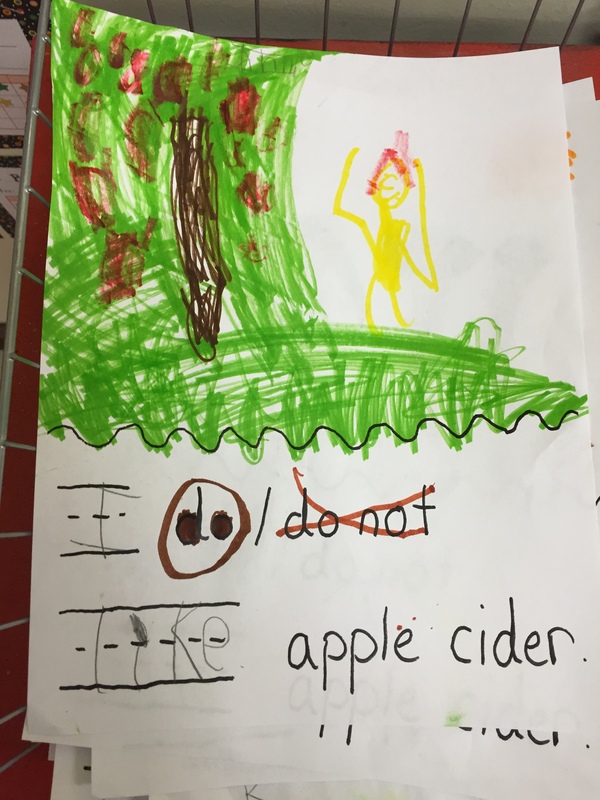 As we finished up our apples unit in our class we read stories about picking applies and making things from apples. 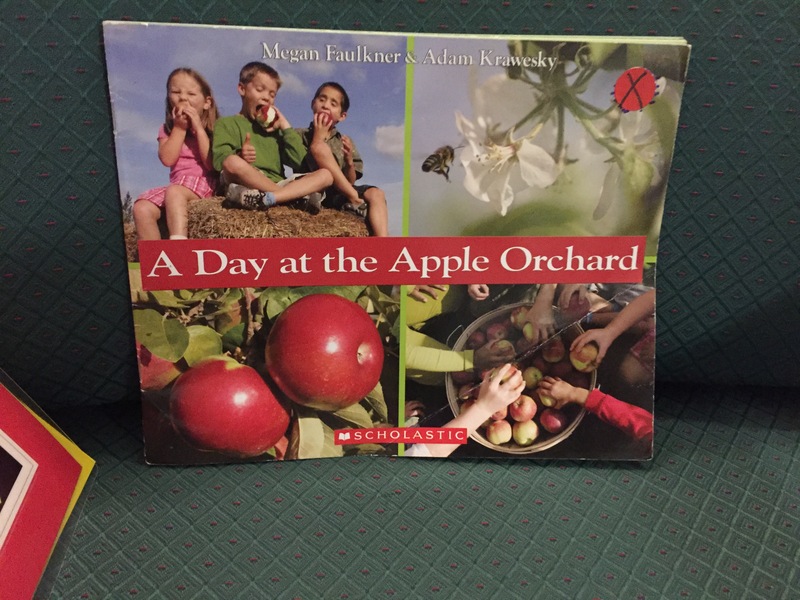 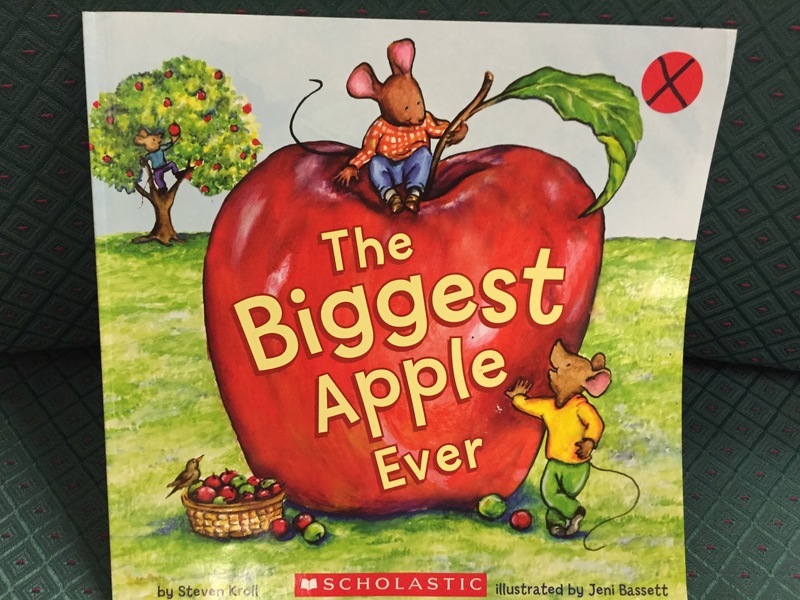 Some stories were fiction like The Biggest Apple Ever by Steven Kroll, and some stories are nonfiction like A Day at the Apple Orchard by Megan Faulkner. 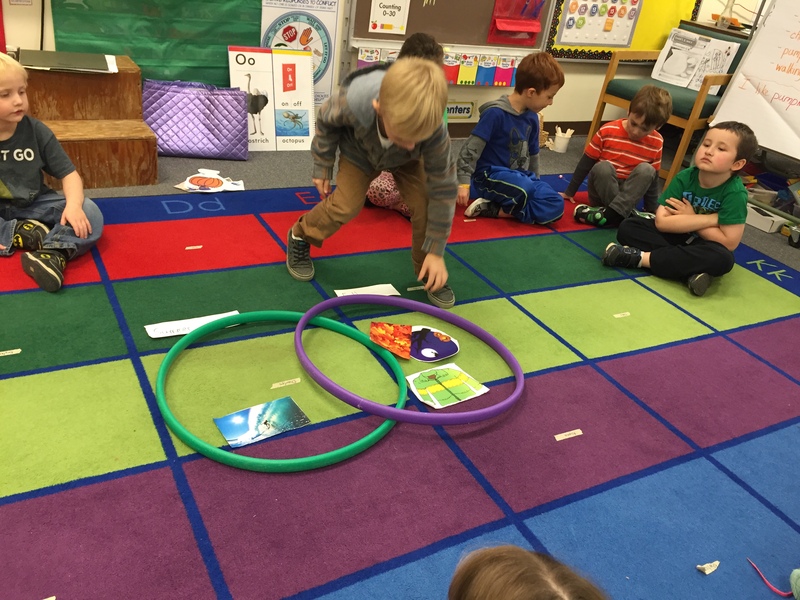 We also watched a video and sang a song about the life cycle of an apple. 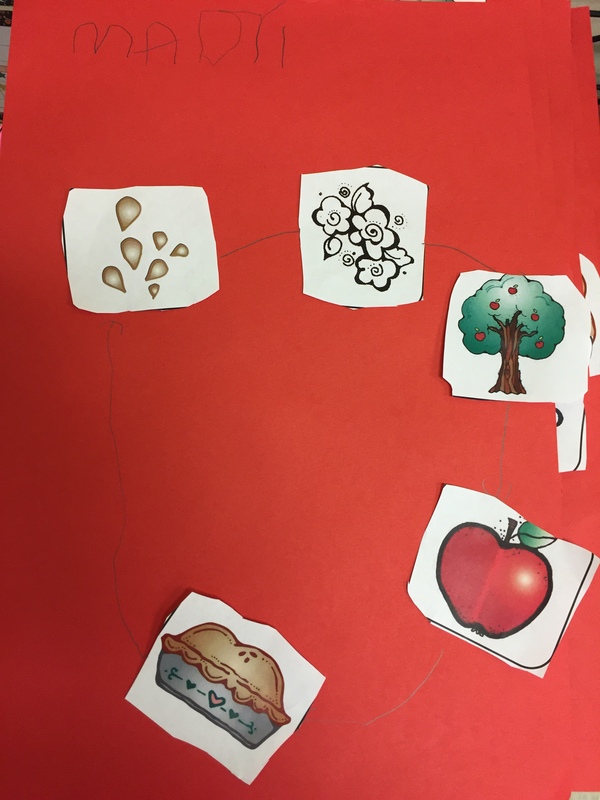 Students then made their own life cycle of an apple. 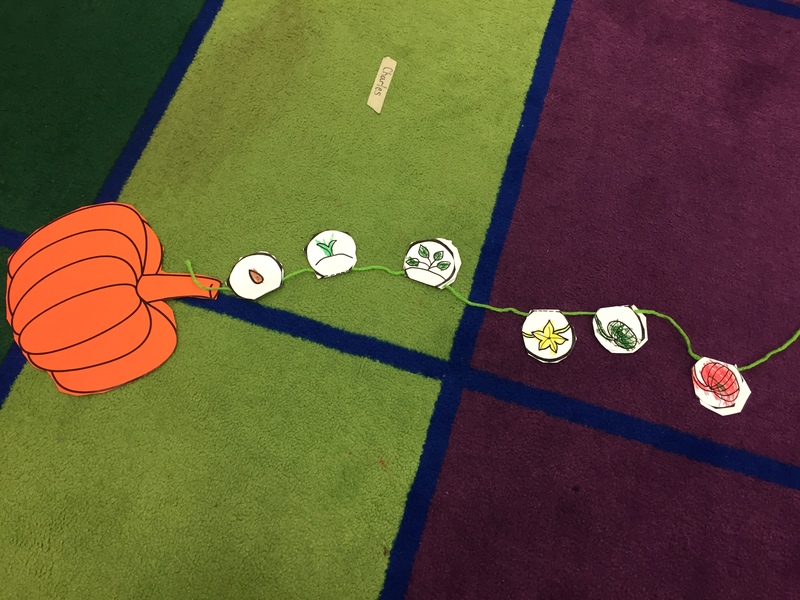 You can find the Life Cycle of an Apple FREEBIE on teachers pay teachers here. 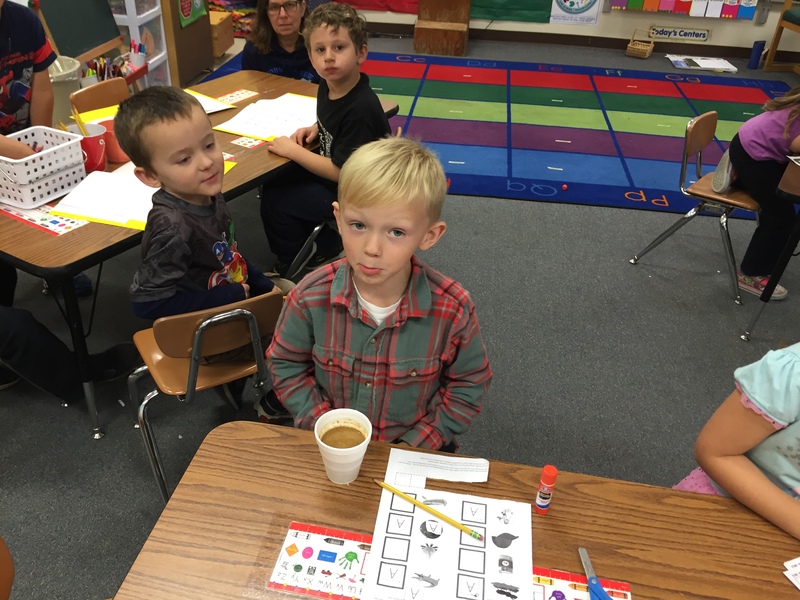 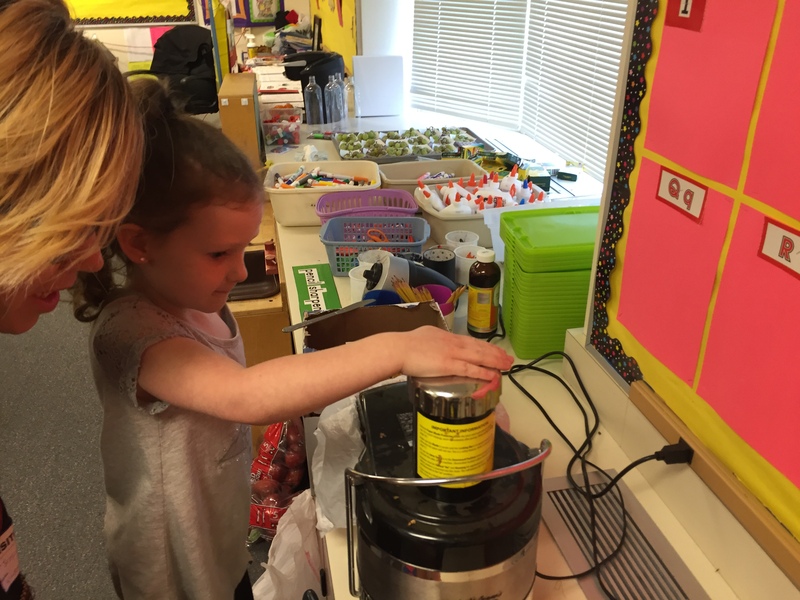 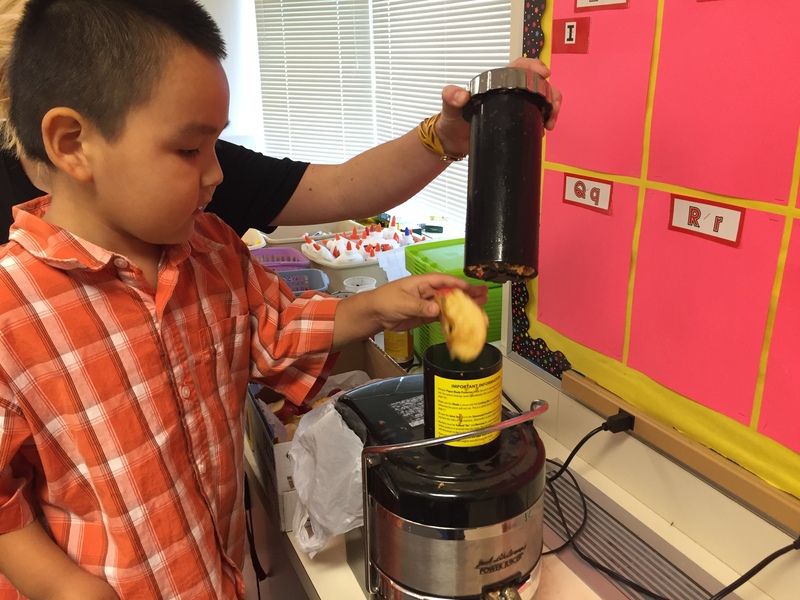 Students also got to help make hot apple cider by taking apple slices and putting them into a juicer, and they watched the juice come out the other side. 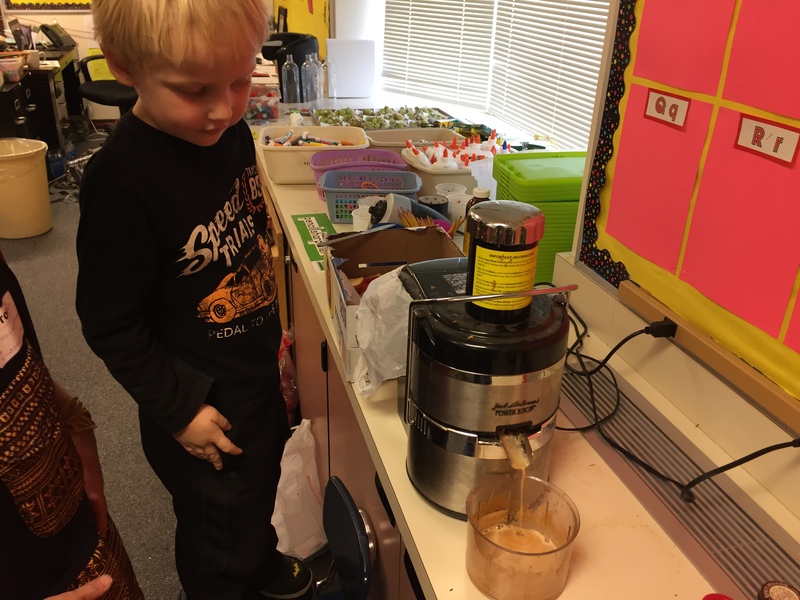 I finished making the cider by adding cinnamon and pumpkin pie spice and letting it heat up in a crock pot. 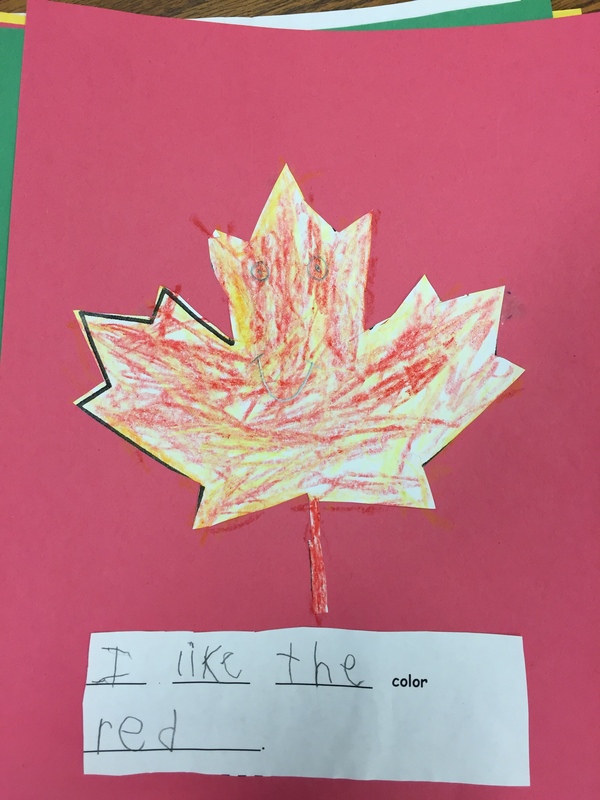 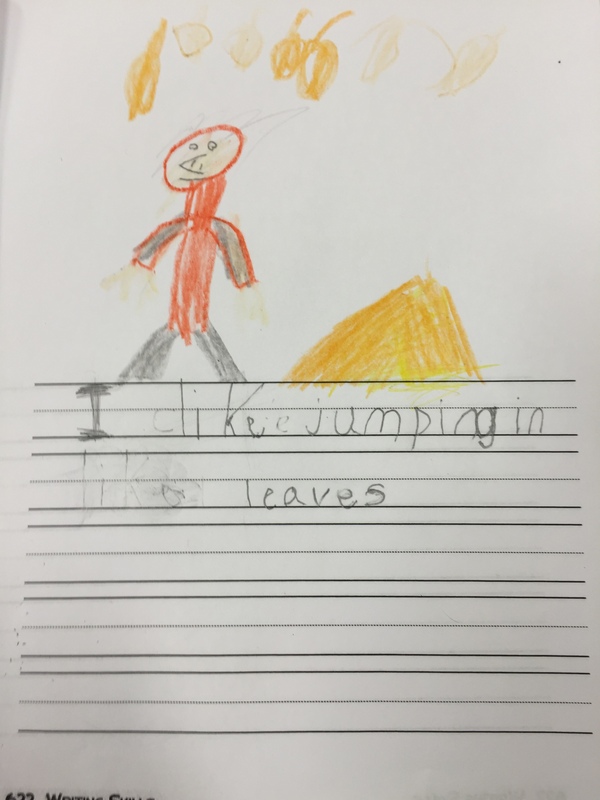 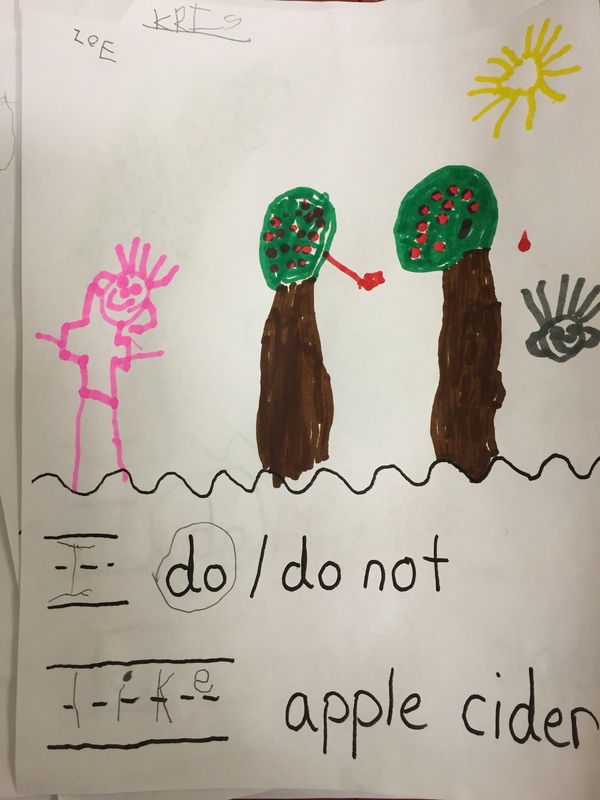 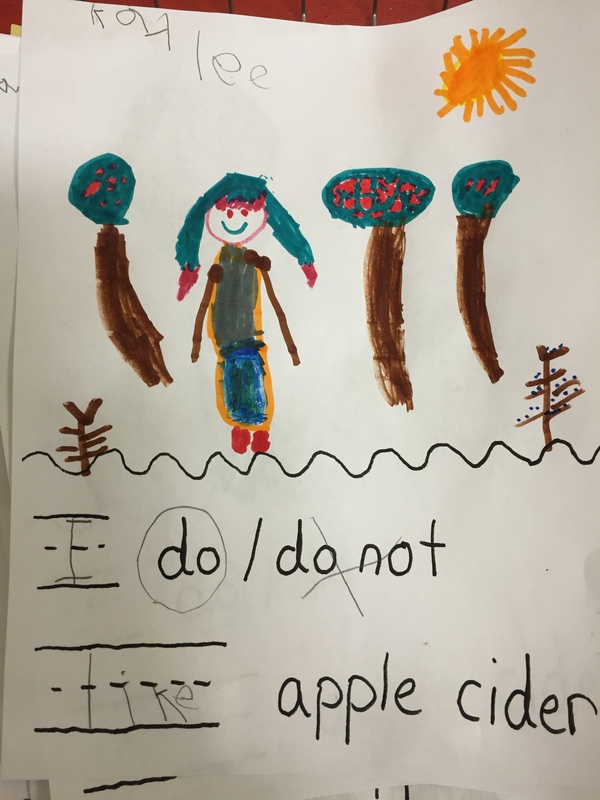 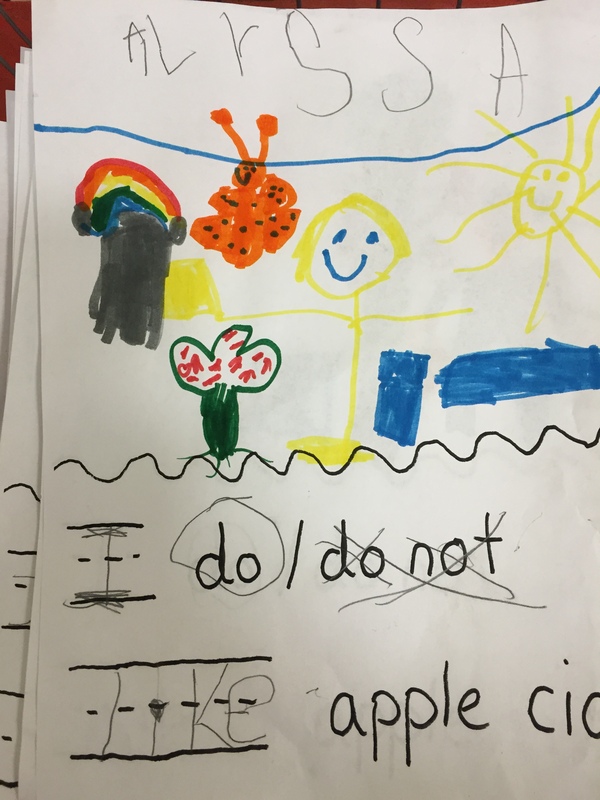 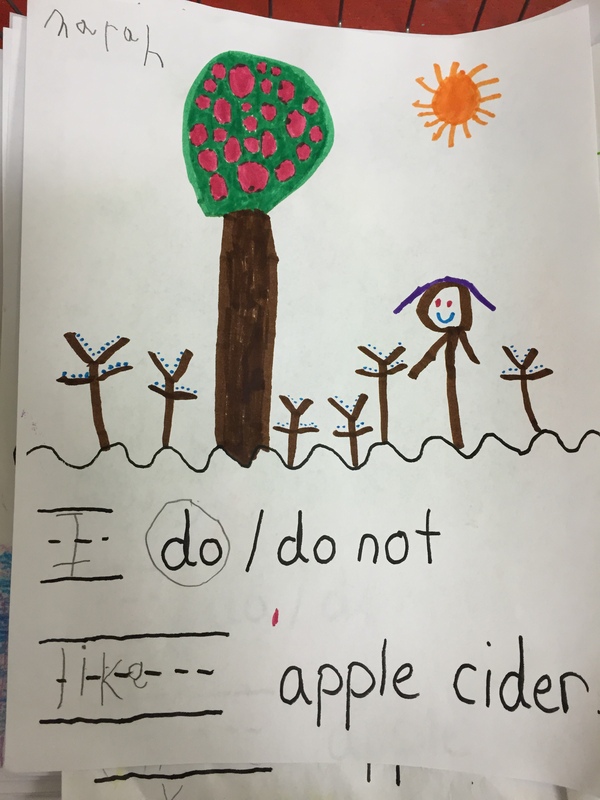 Finally for writing, students wrote about if they liked apple cider by completing the sentence and drawing a picture about apples / apple orchards.